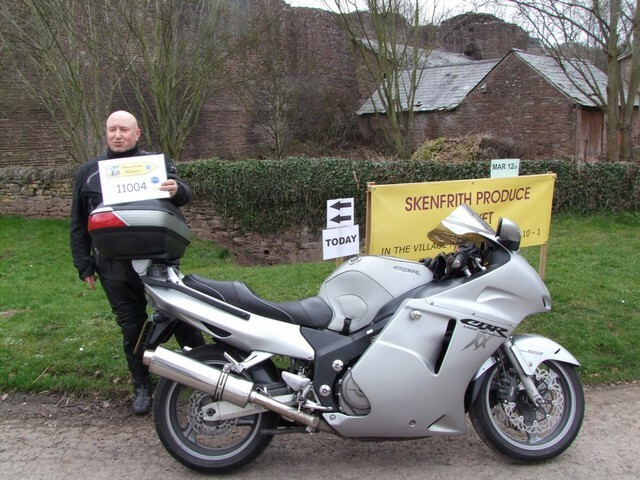 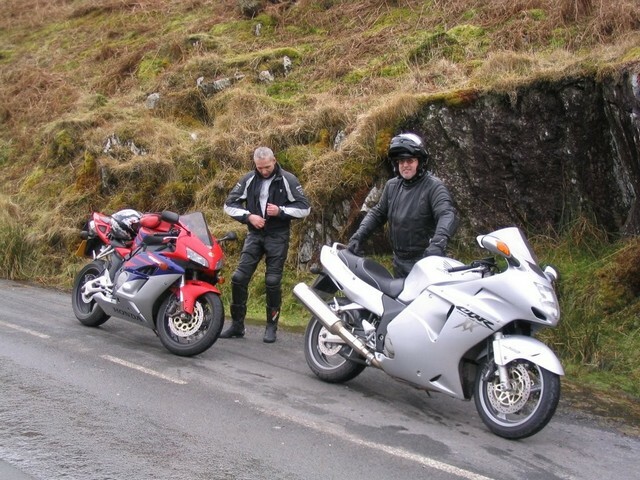 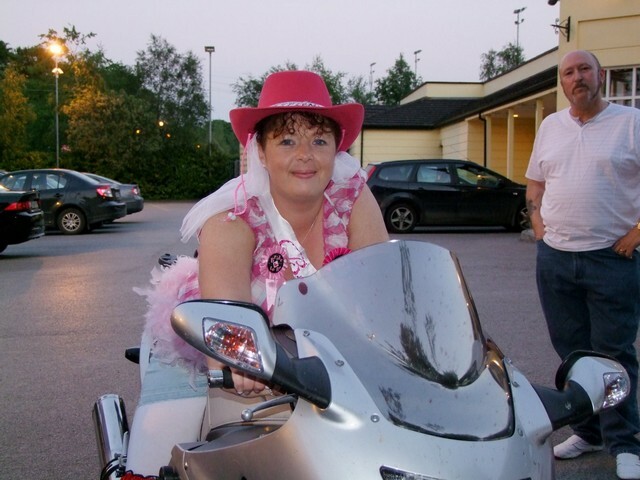 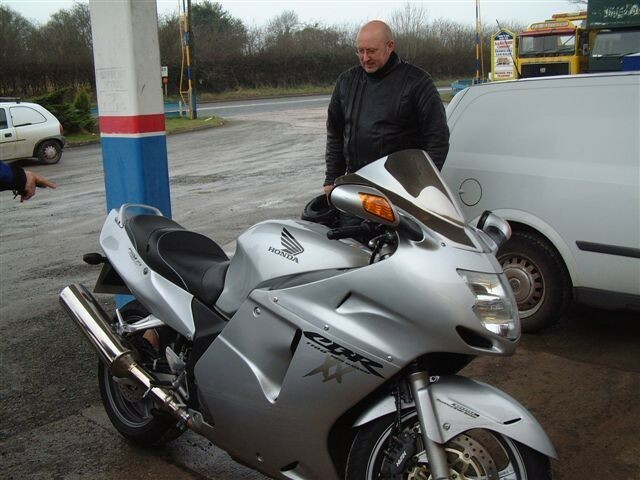 In September 2006 Bonzo had his Black Honda Blackbird stolen, he would have replaced the bike straight away if it wasn’t for the insurance company being a PITA and dragging their heels, but at the end of December 2006 they eventually paid up so Bonzo was on the lookout a new ride and he opted for another Honda CBR1100xx Blackbird. 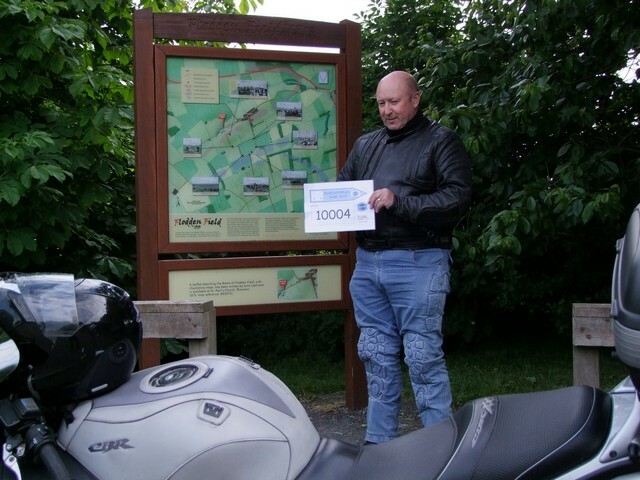 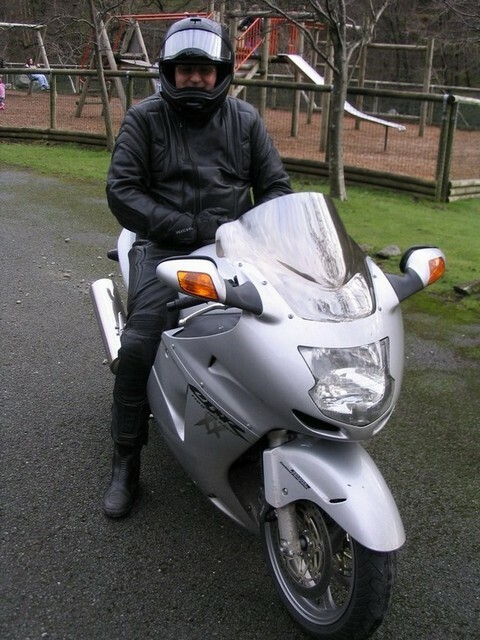 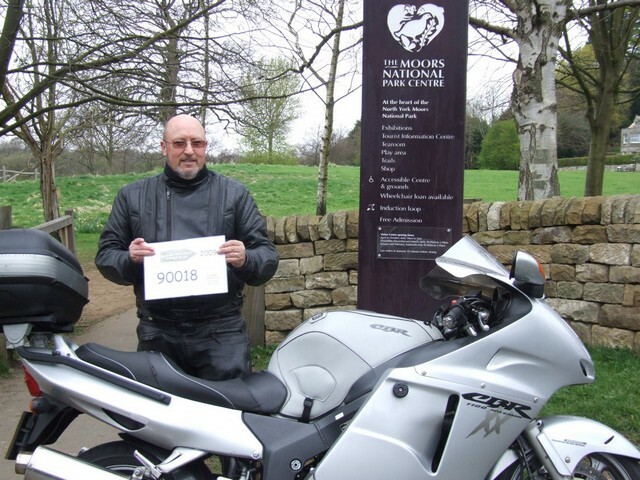 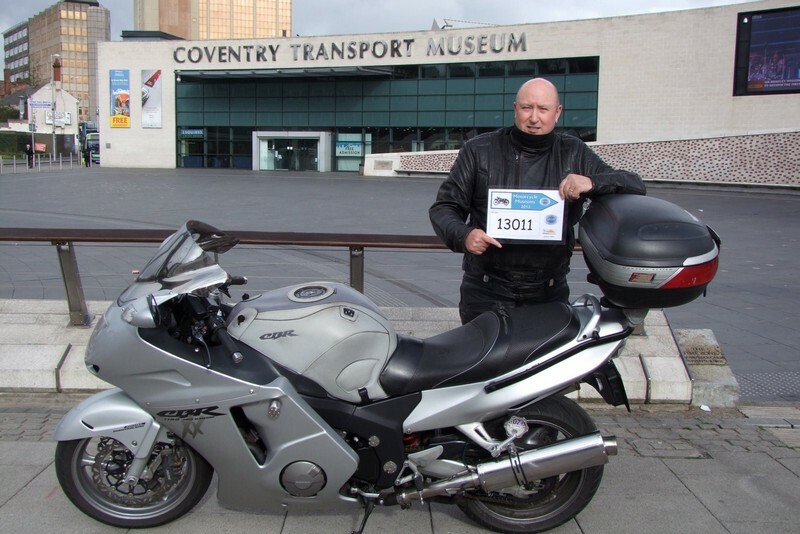 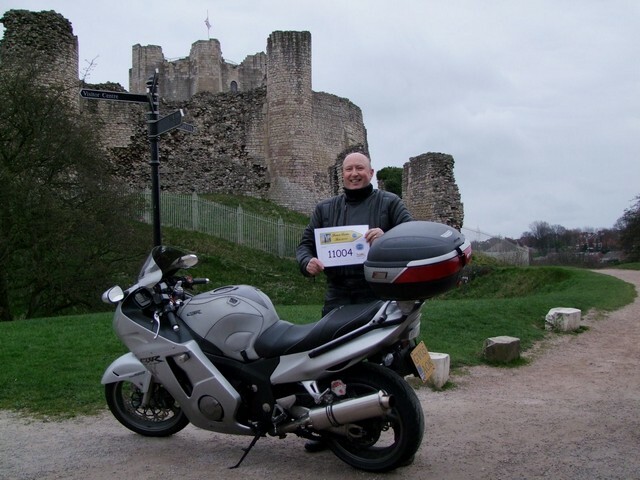 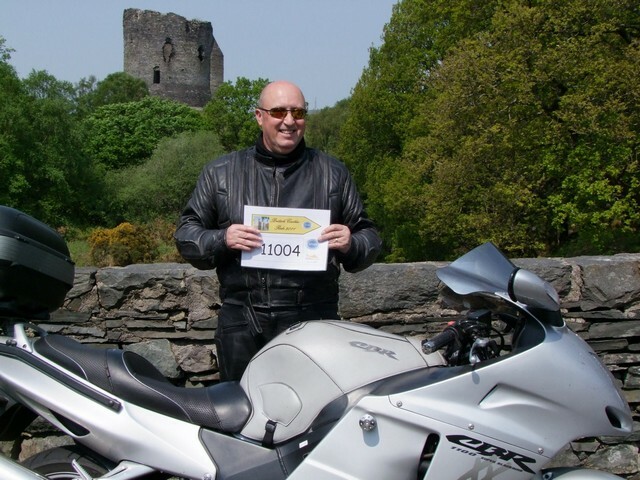 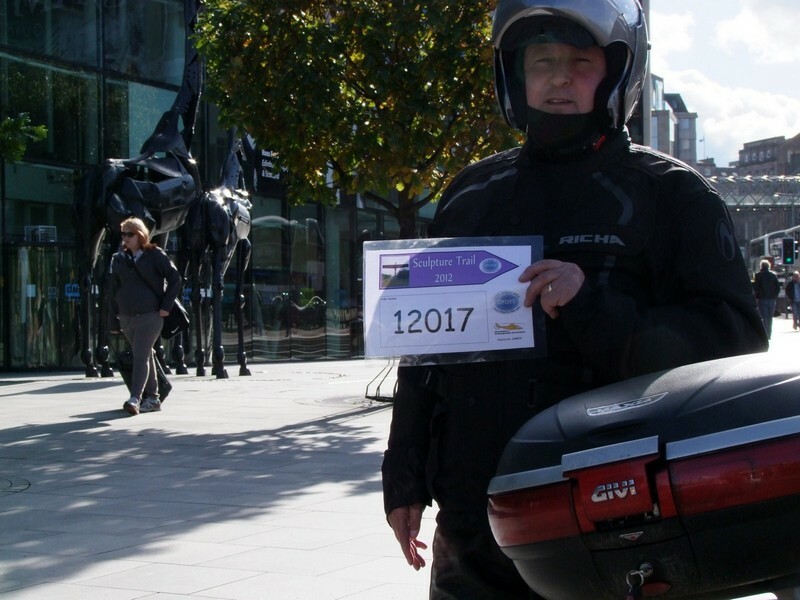 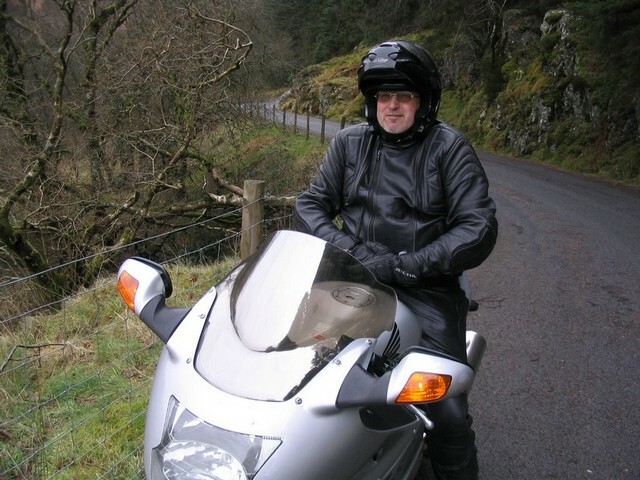 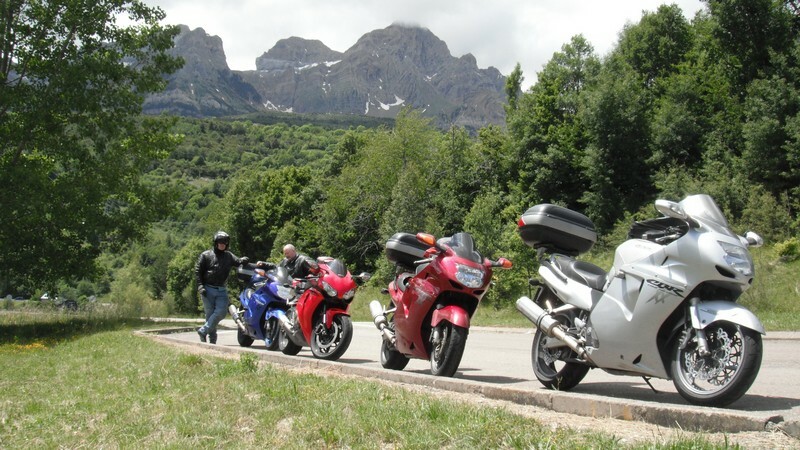 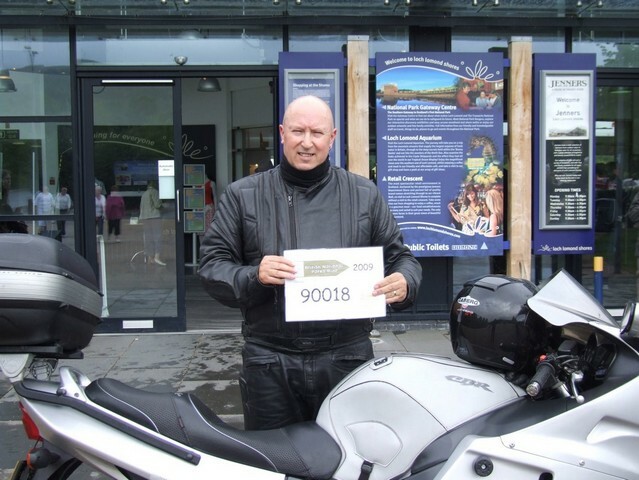 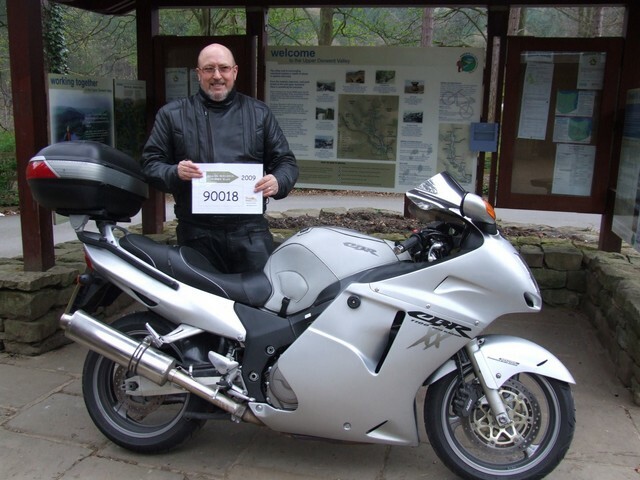 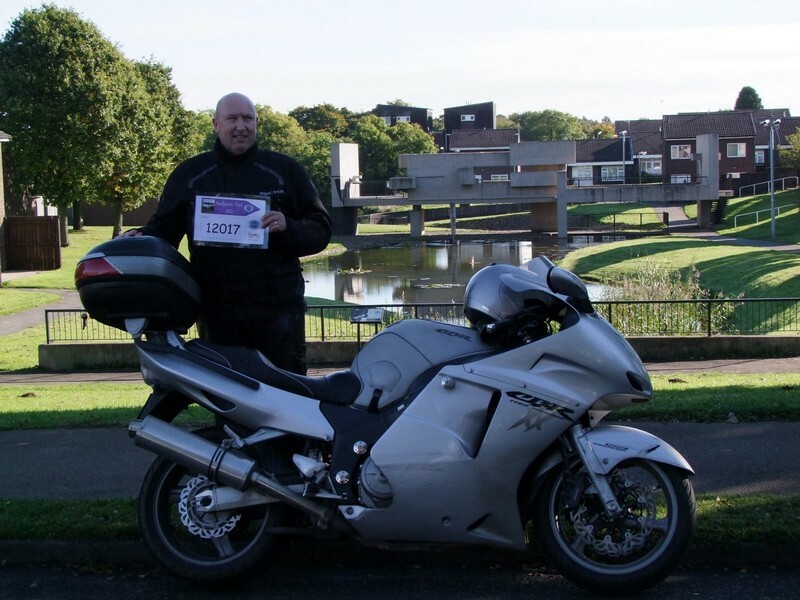 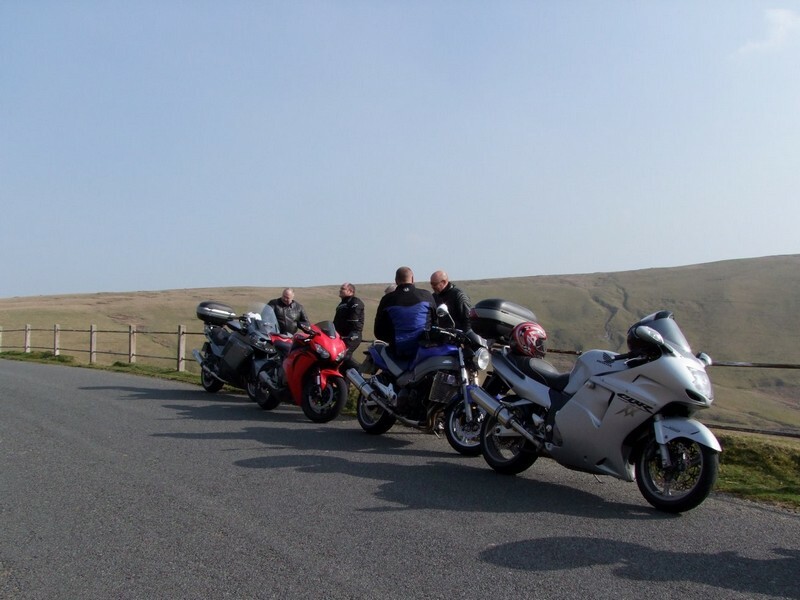 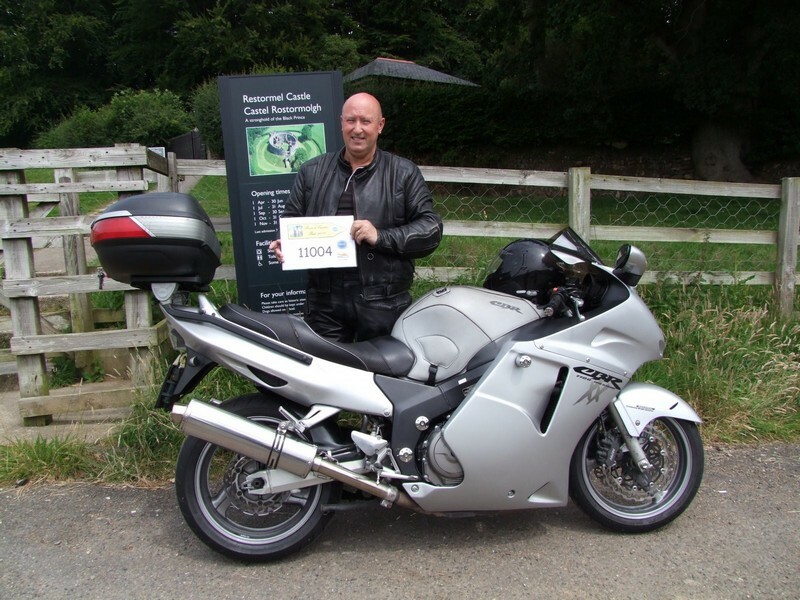 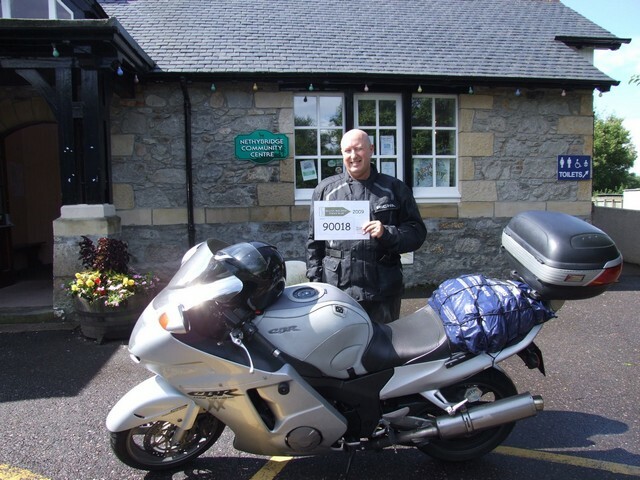 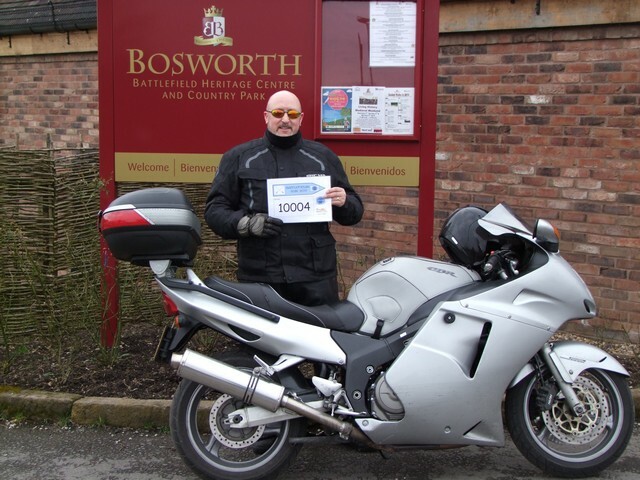 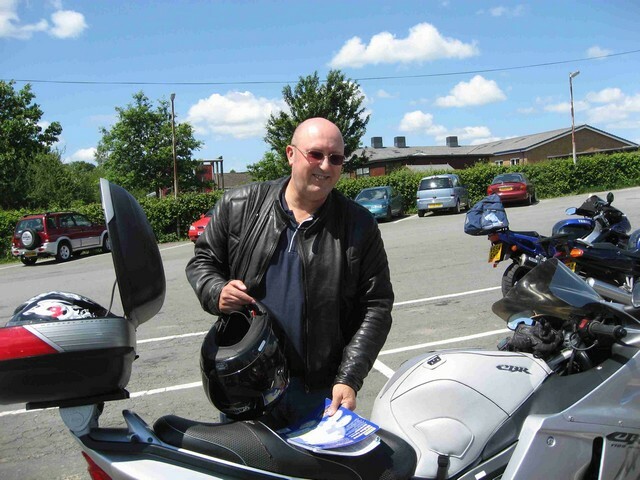 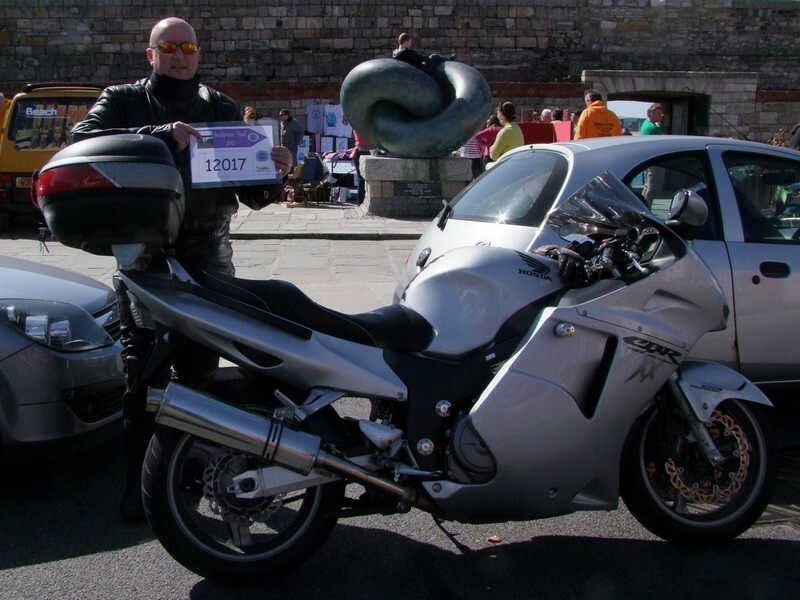 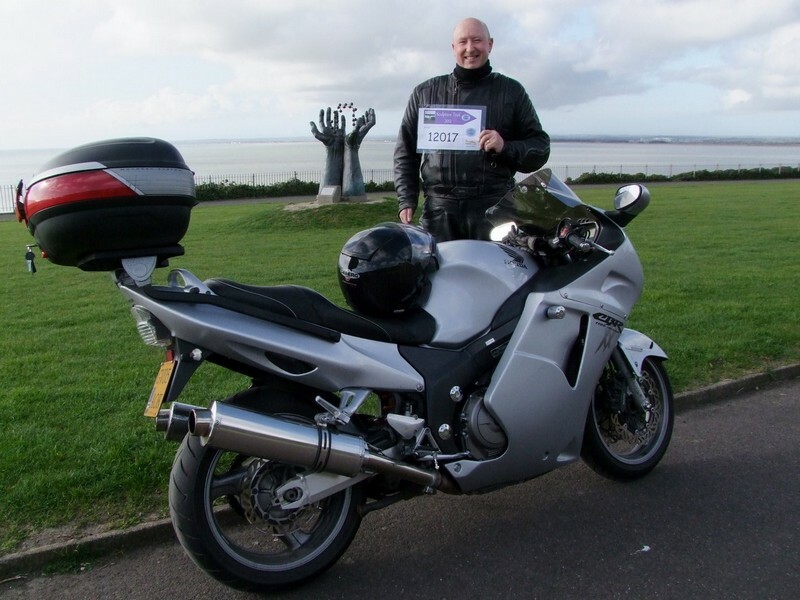 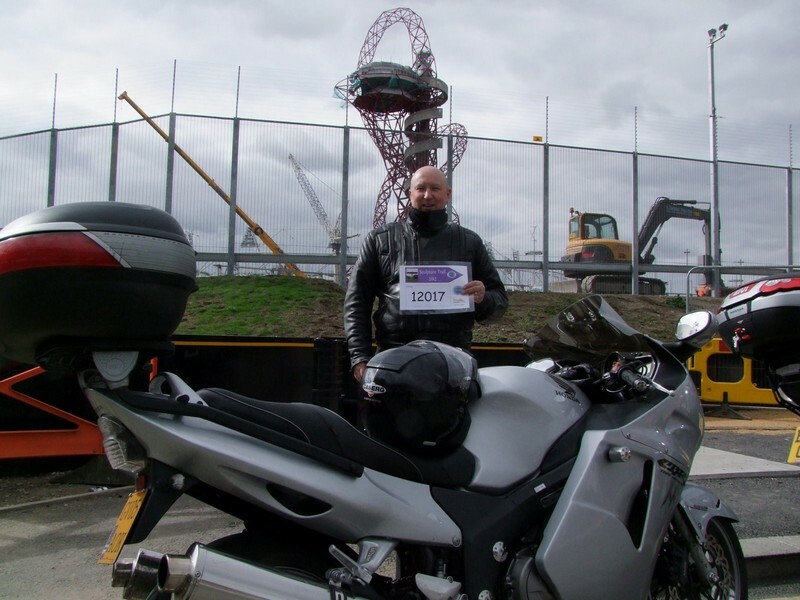 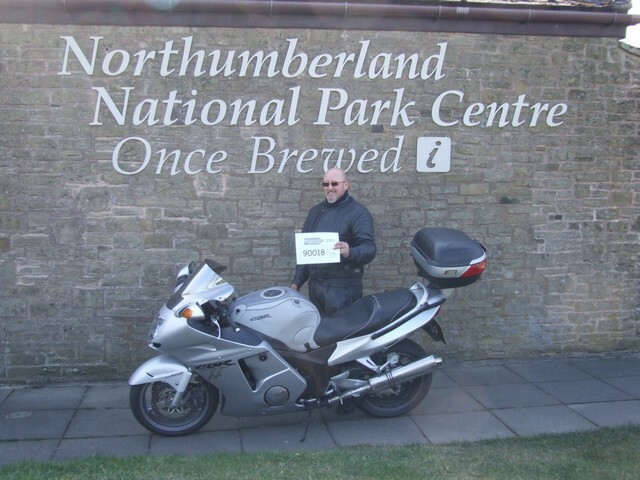 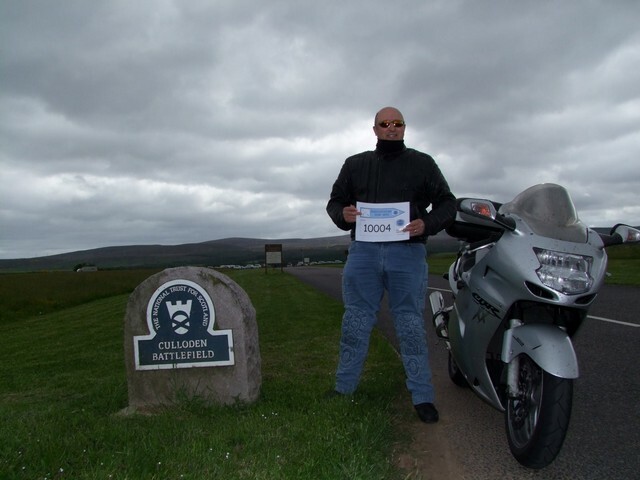 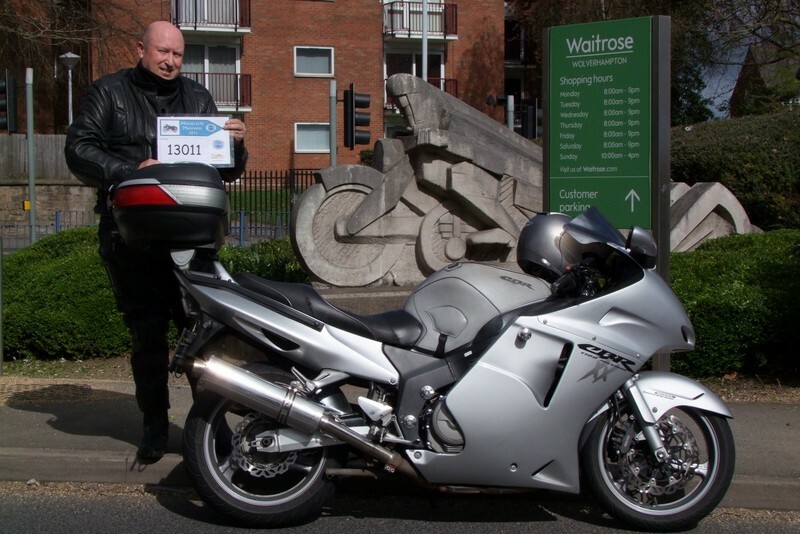 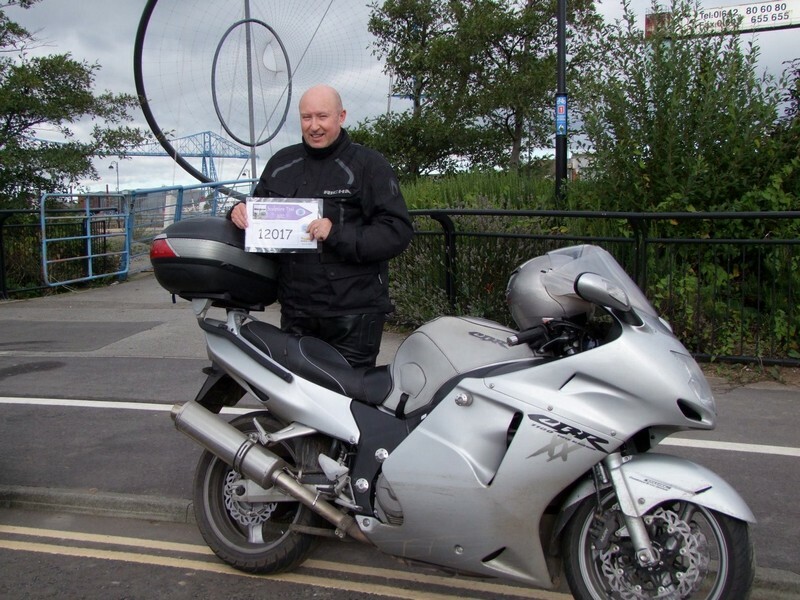 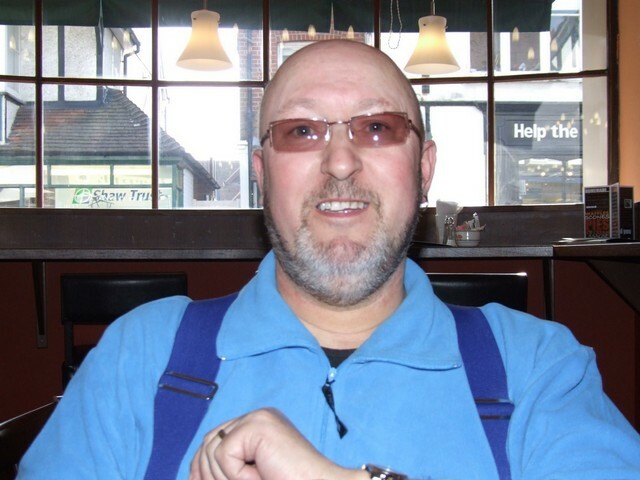 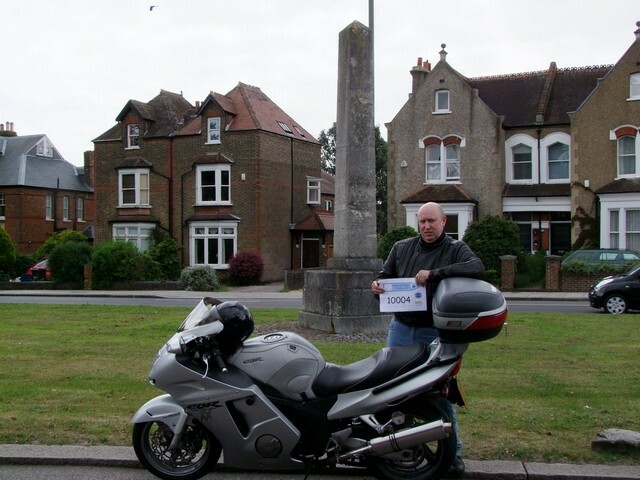 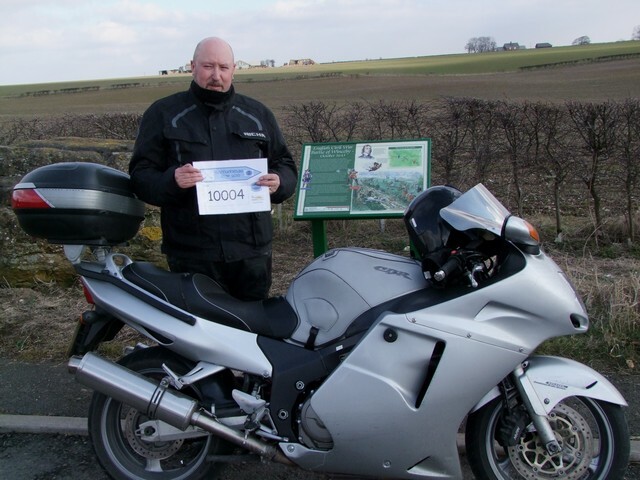 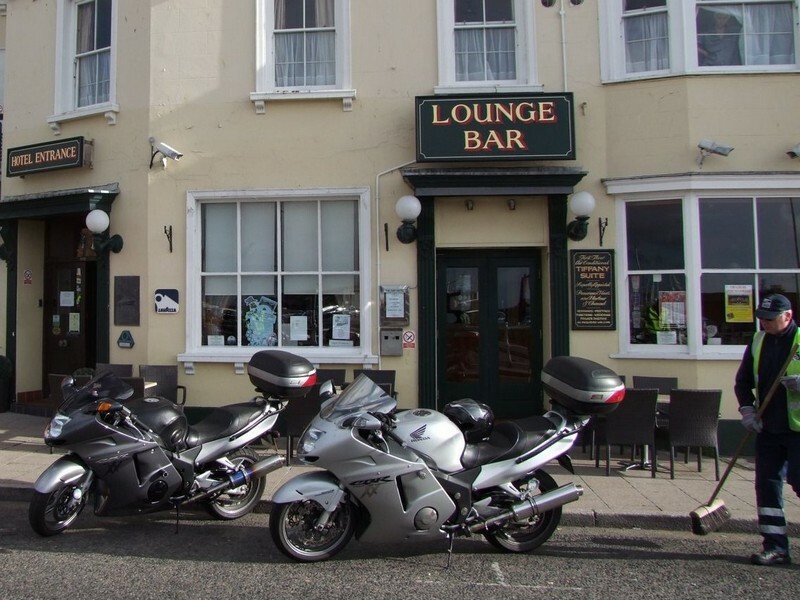 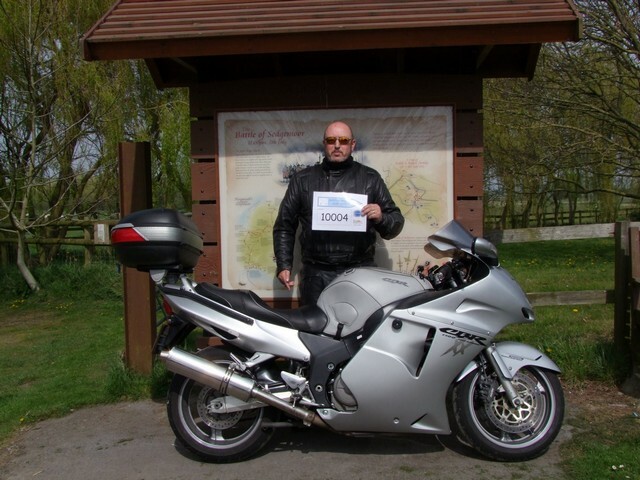 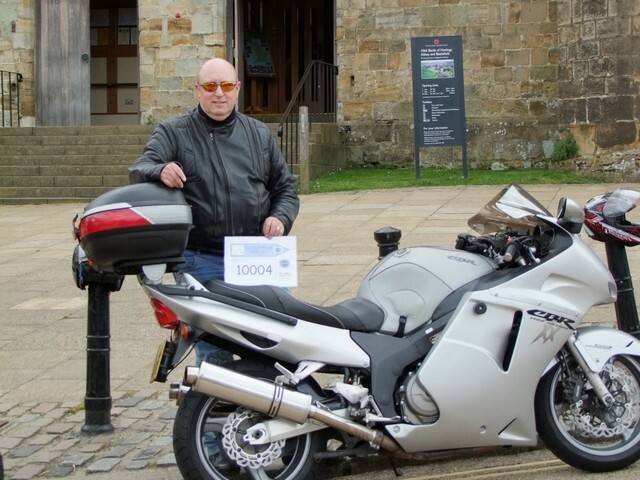 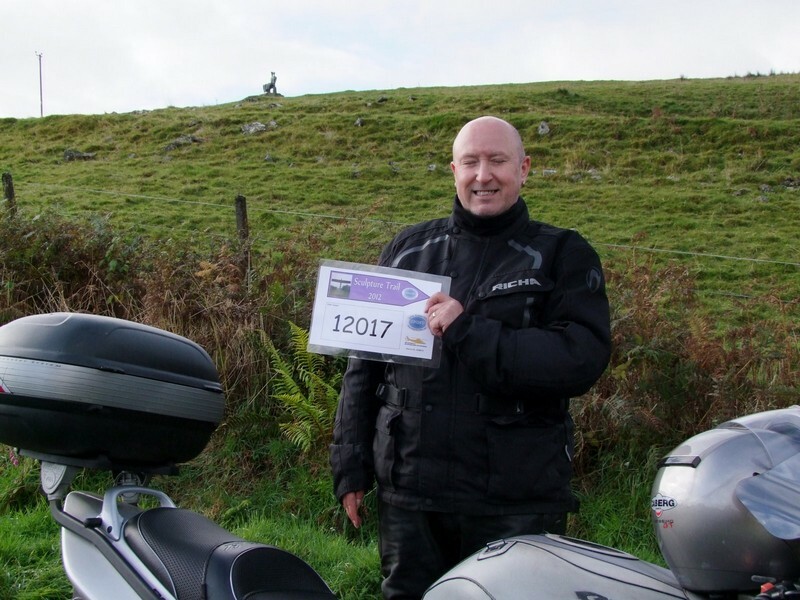 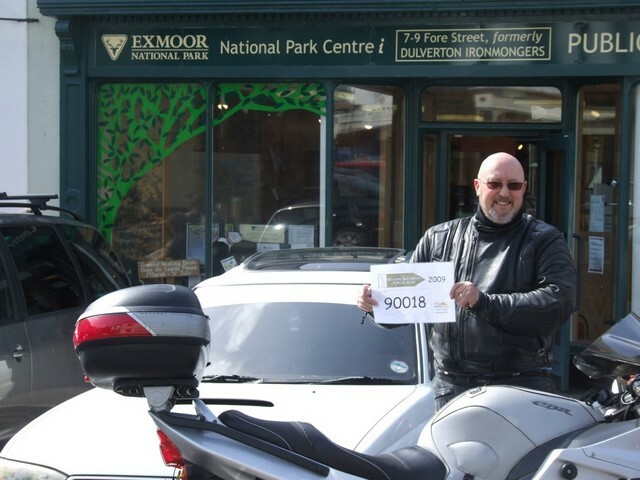 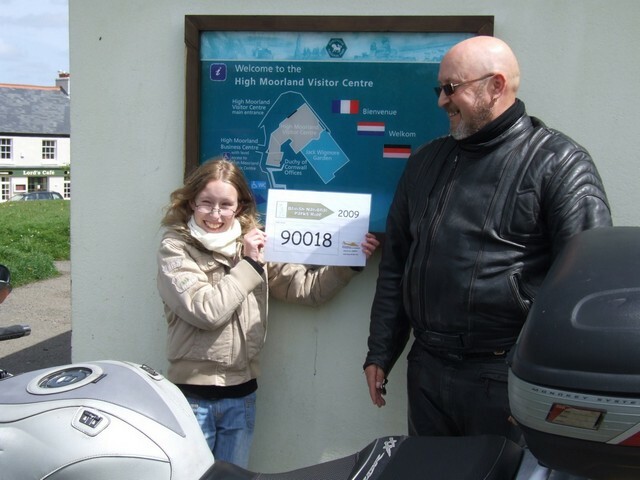 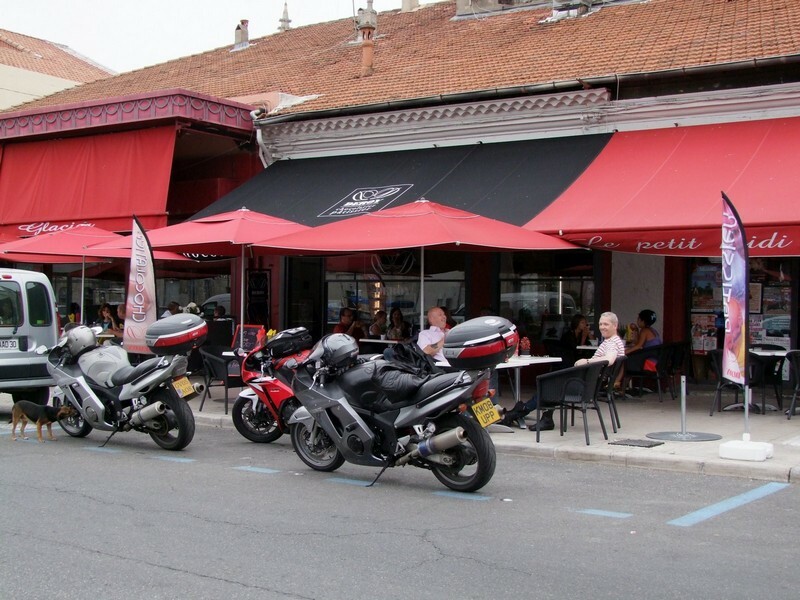 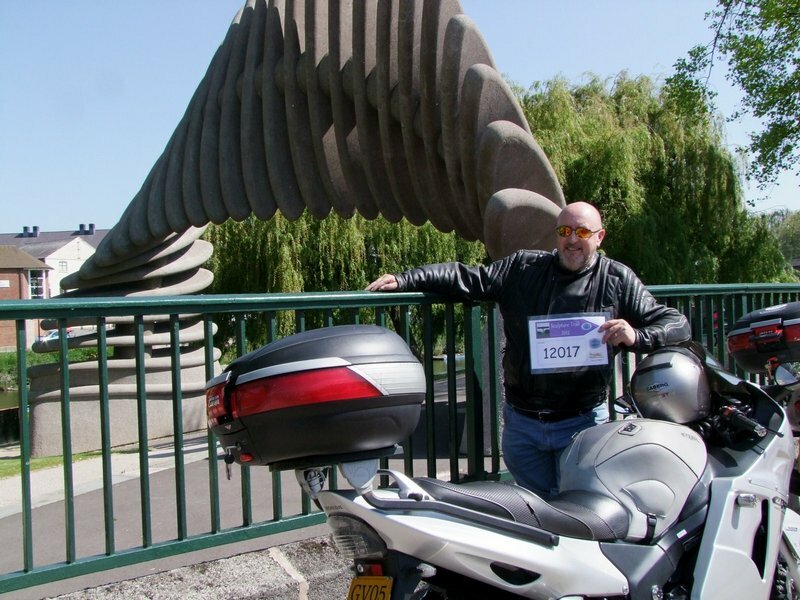 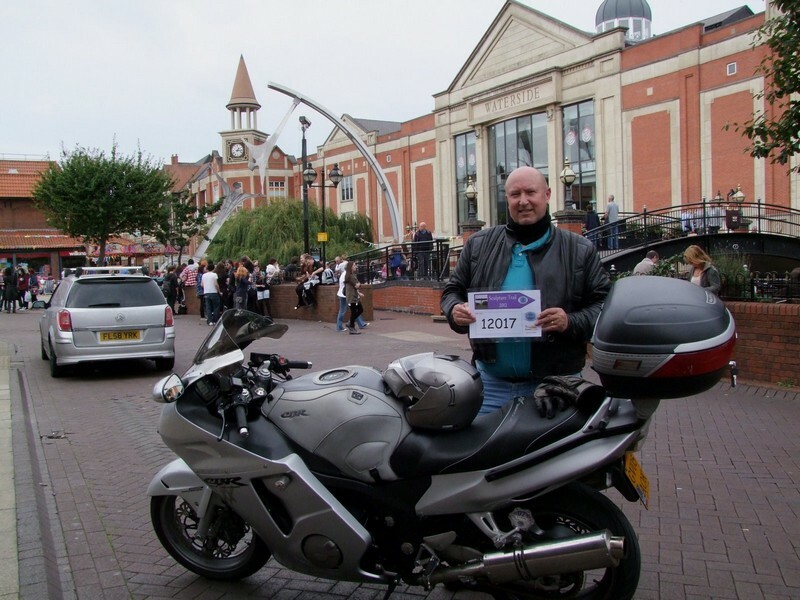 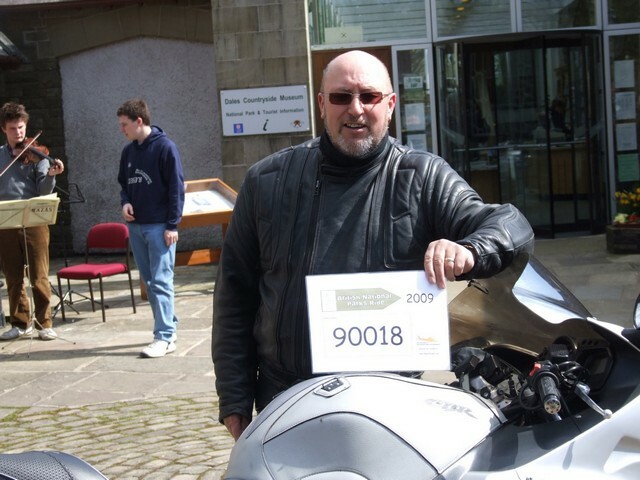 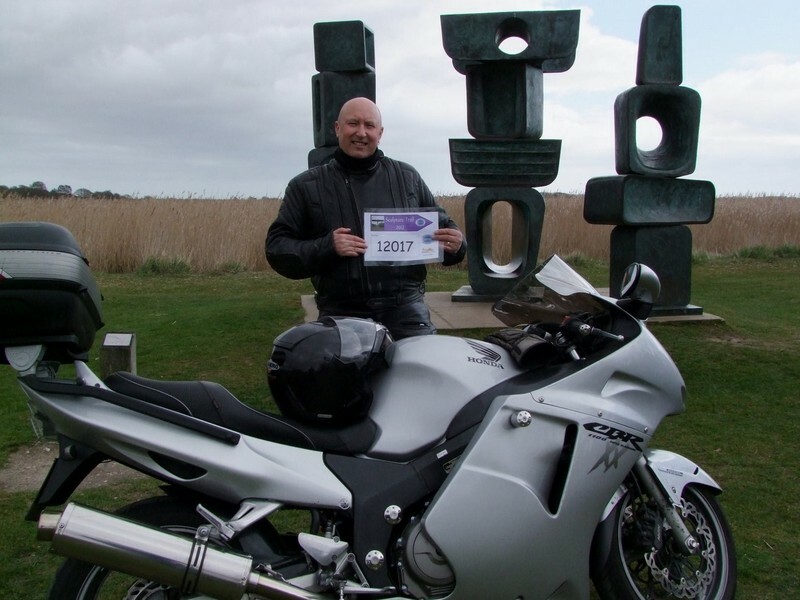 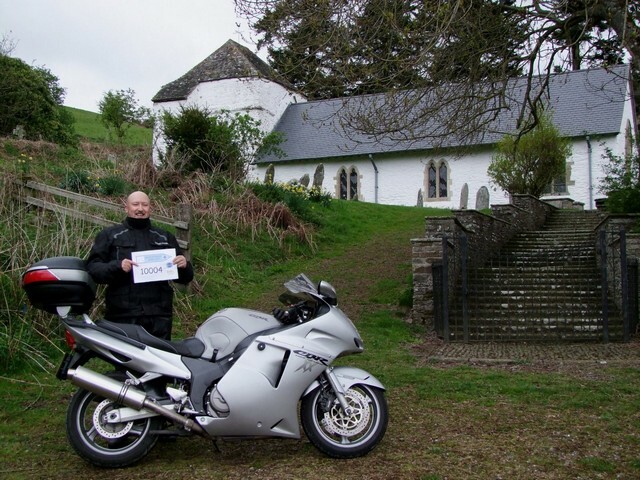 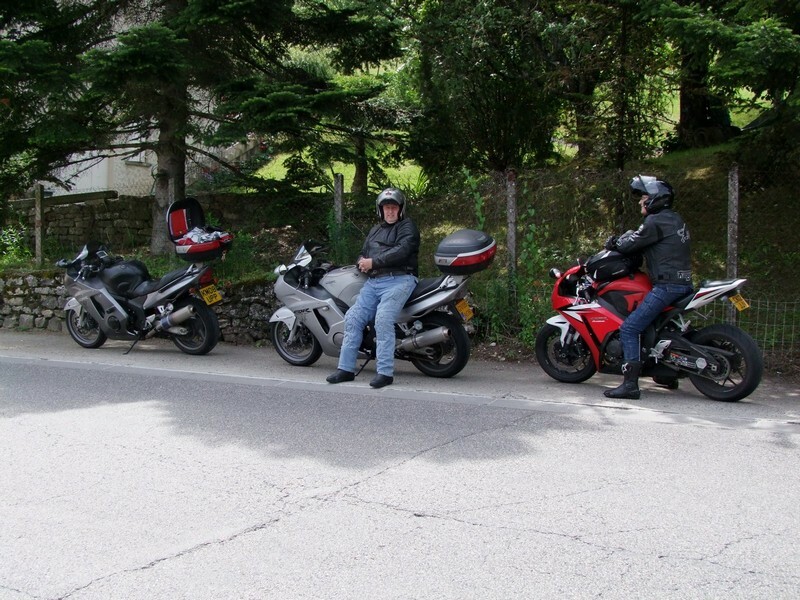 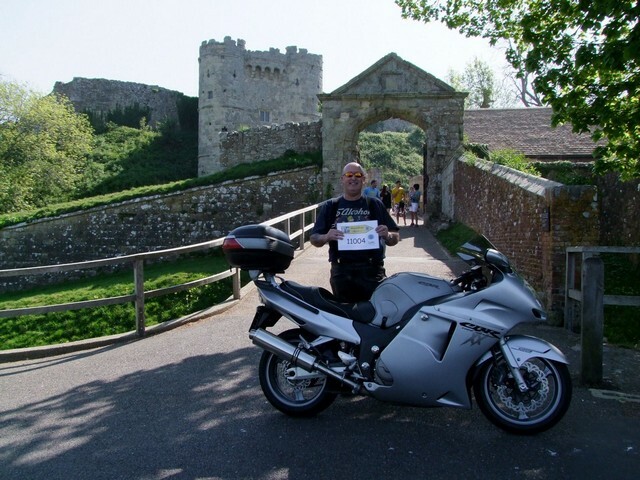 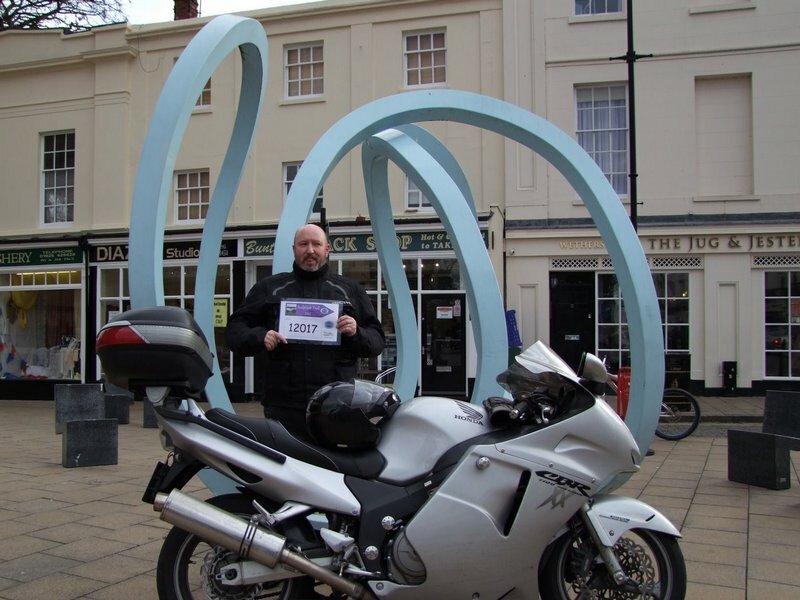 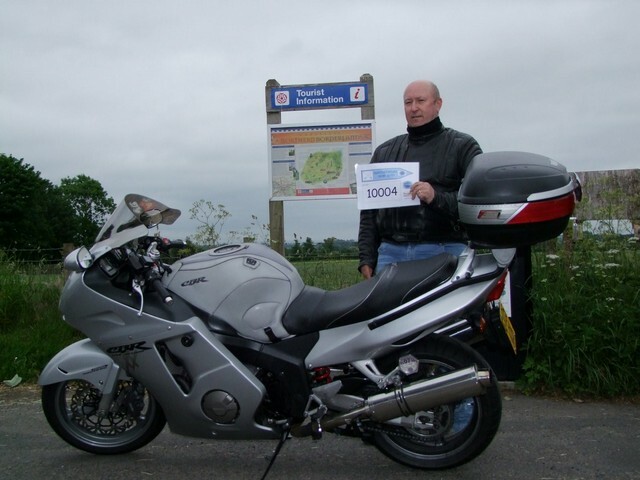 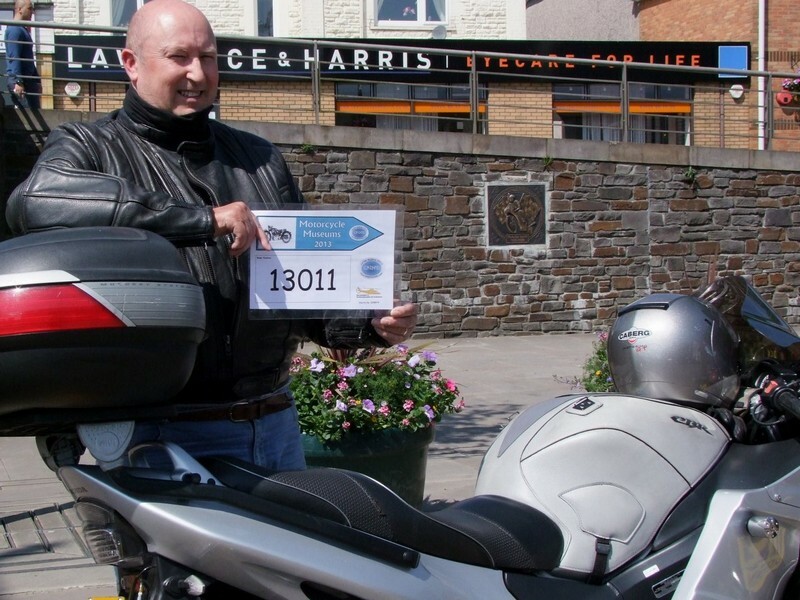 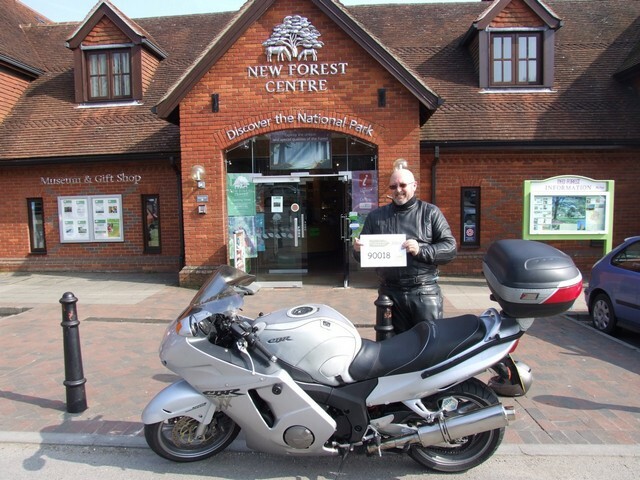 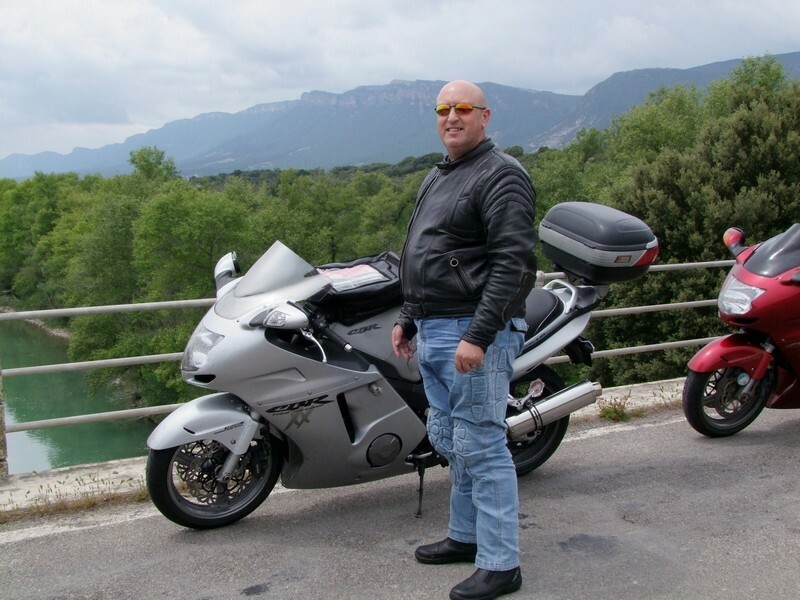 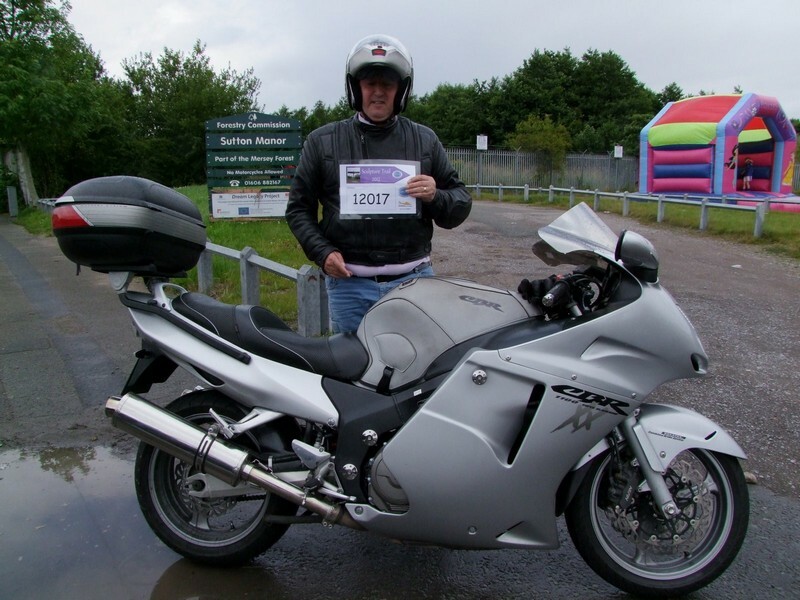 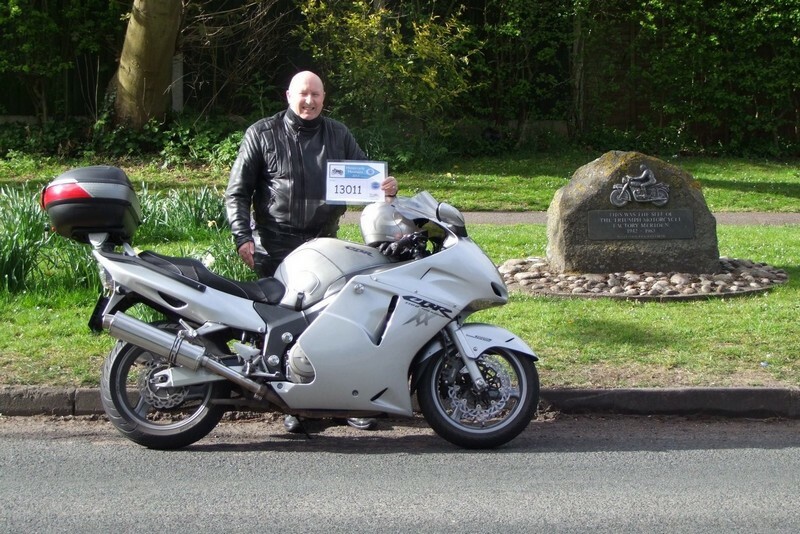 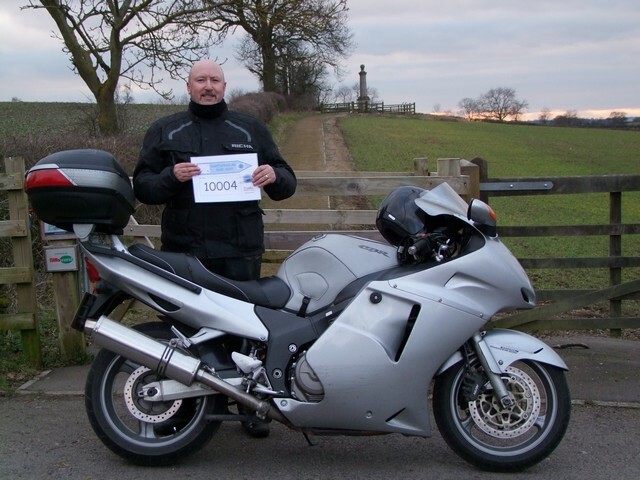 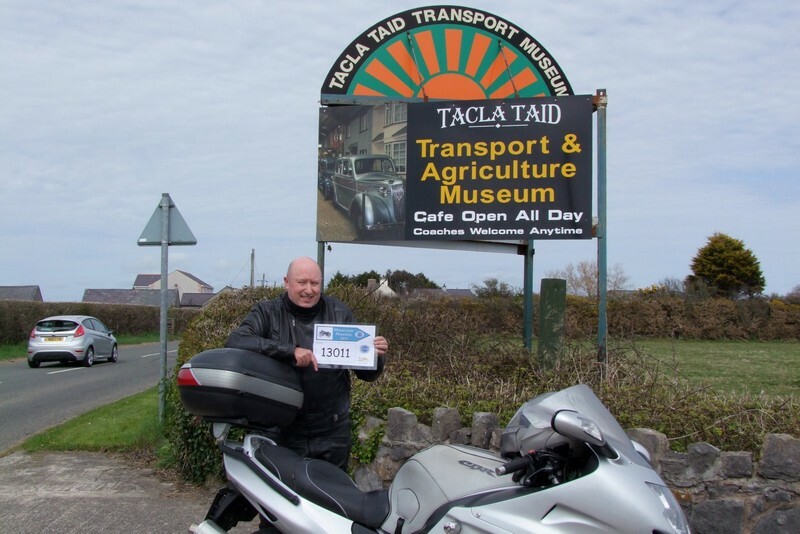 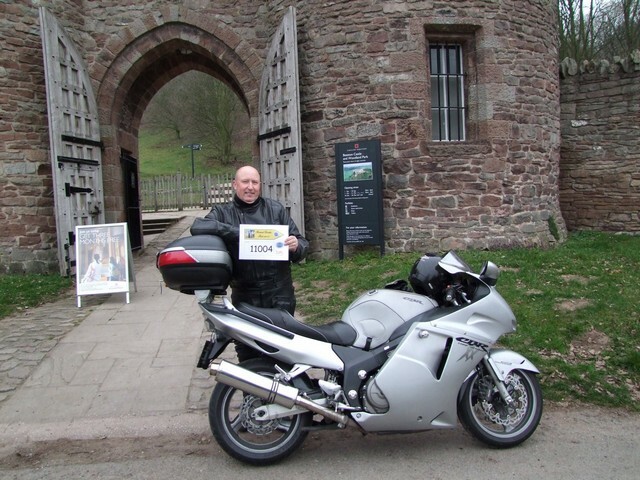 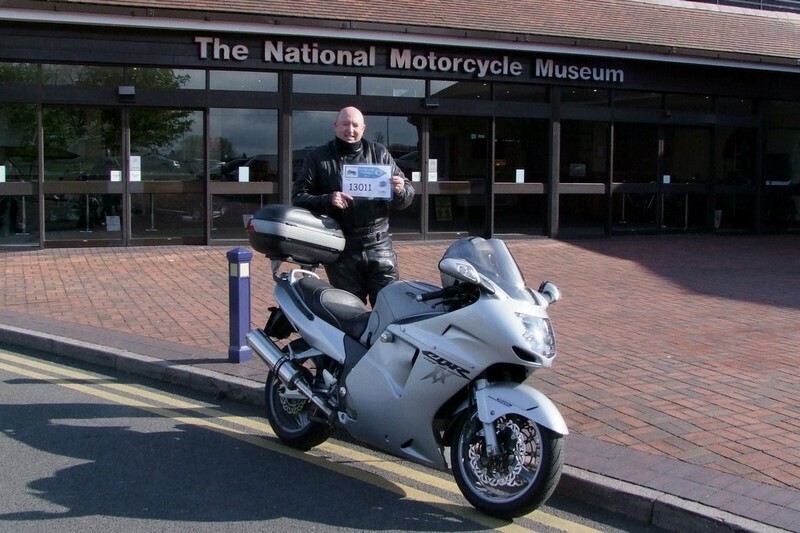 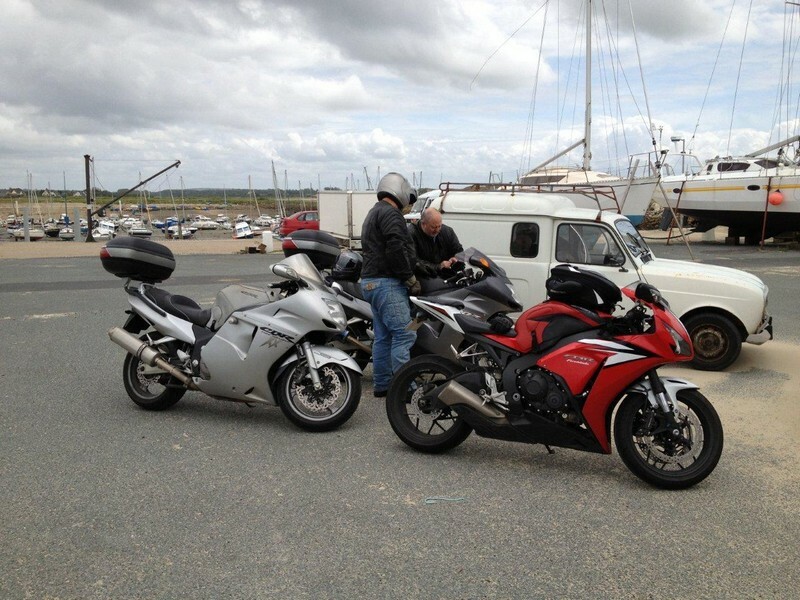 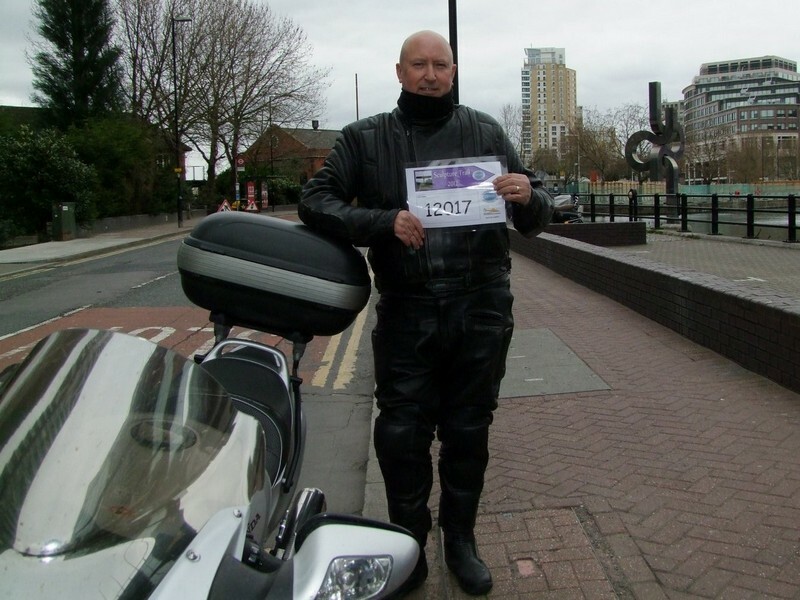 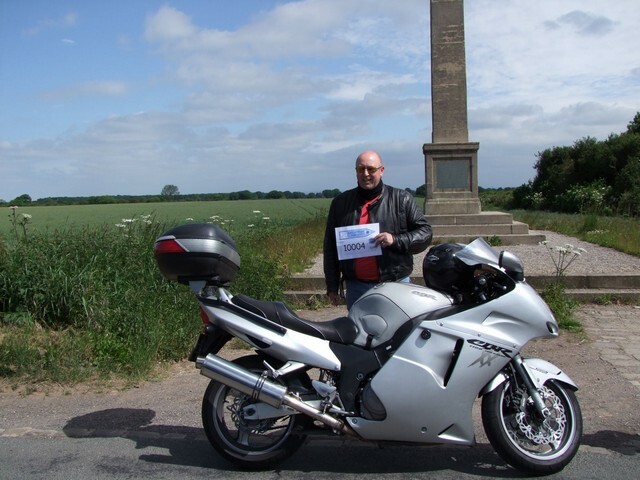 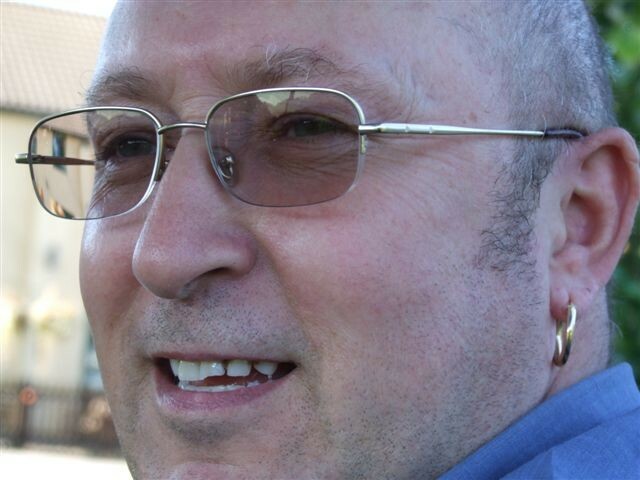 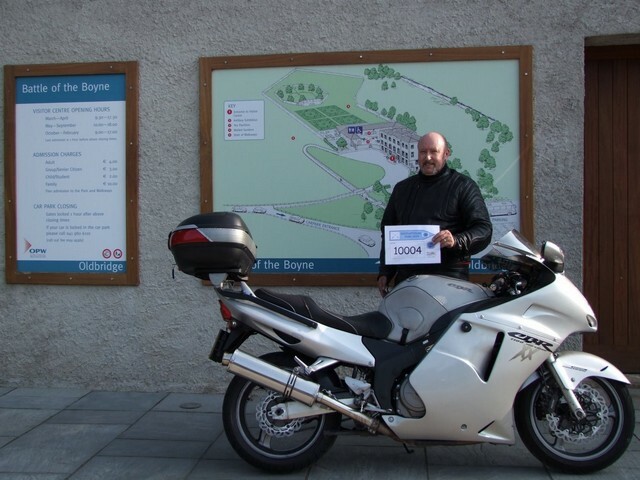 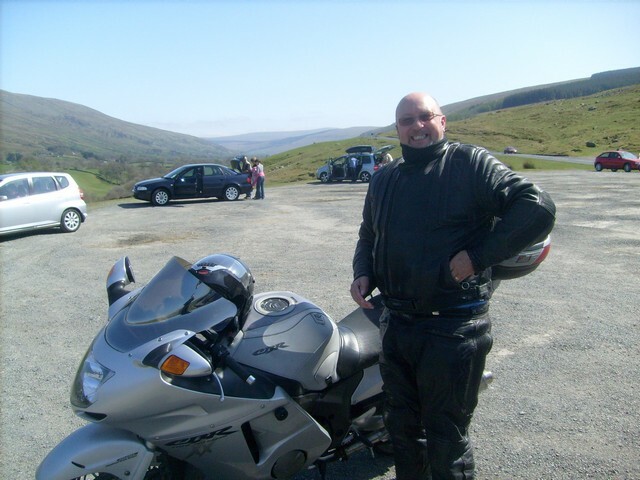 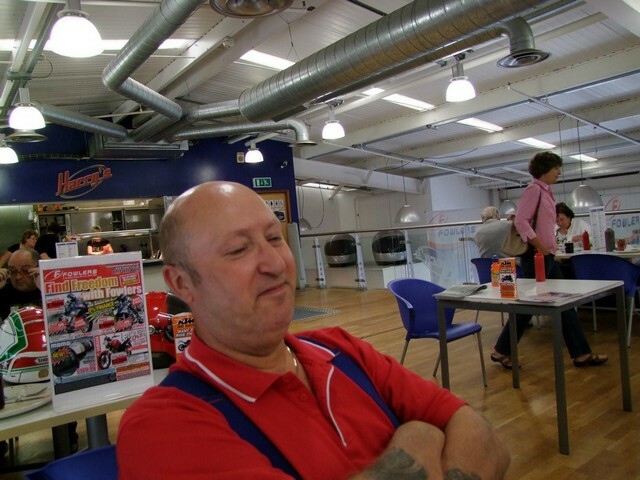 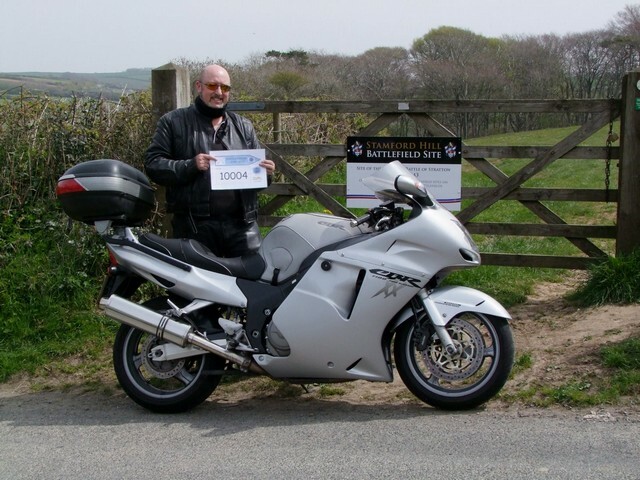 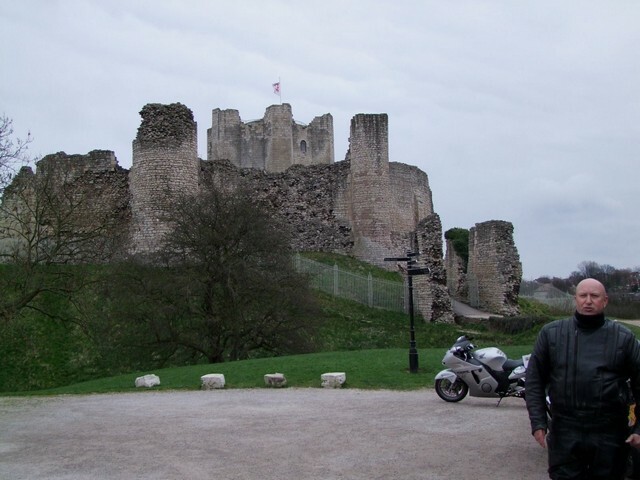 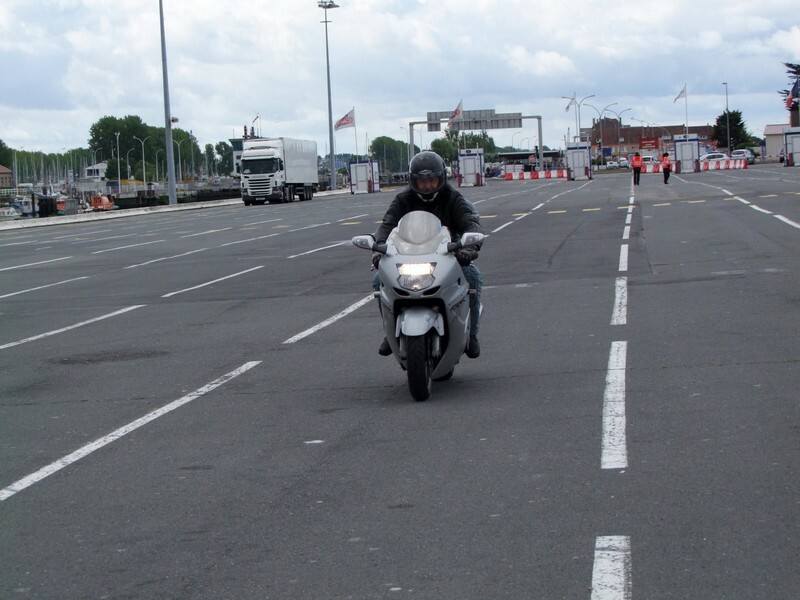 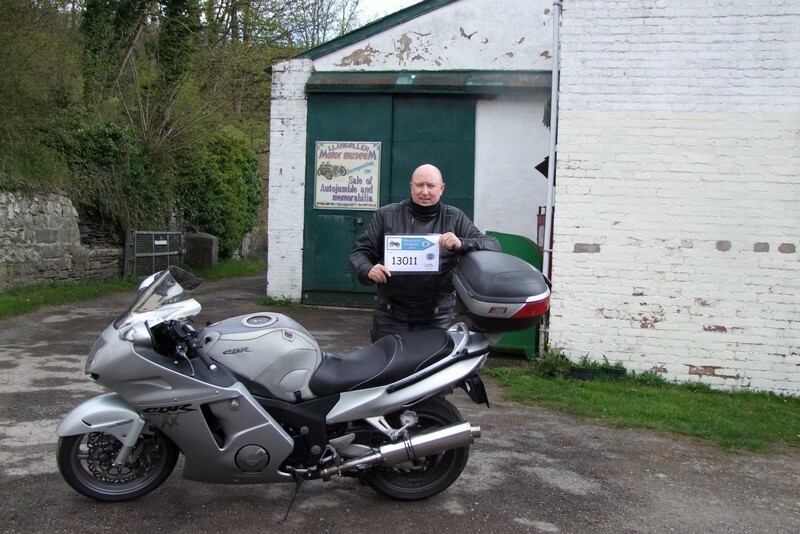 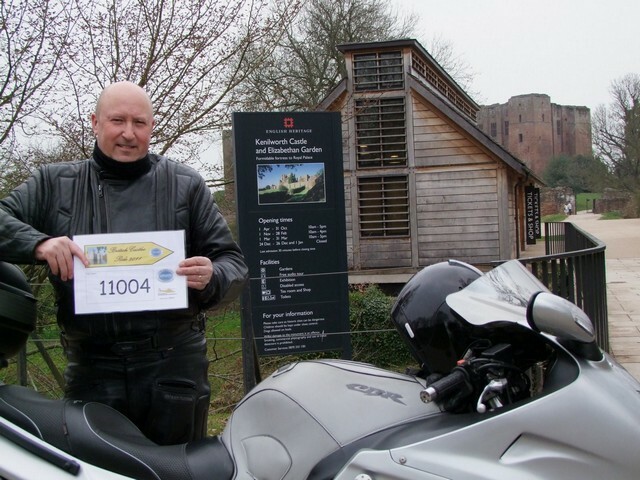 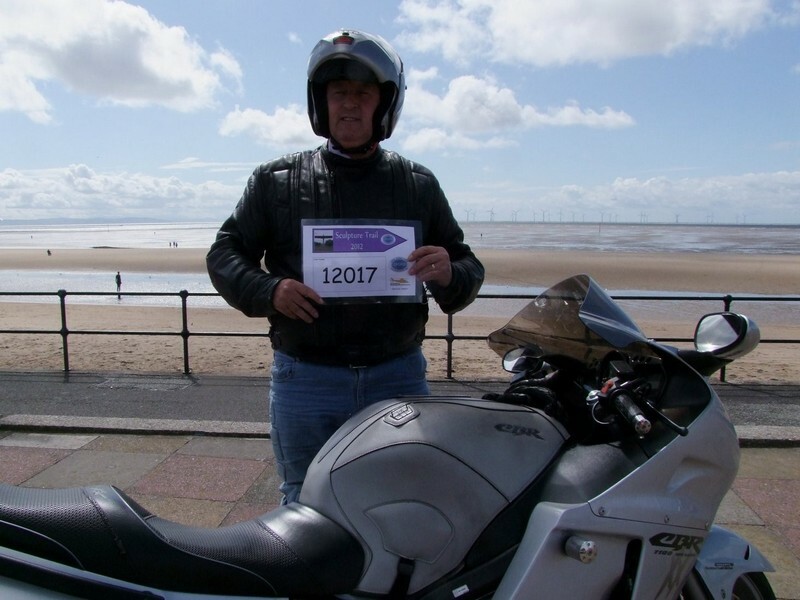 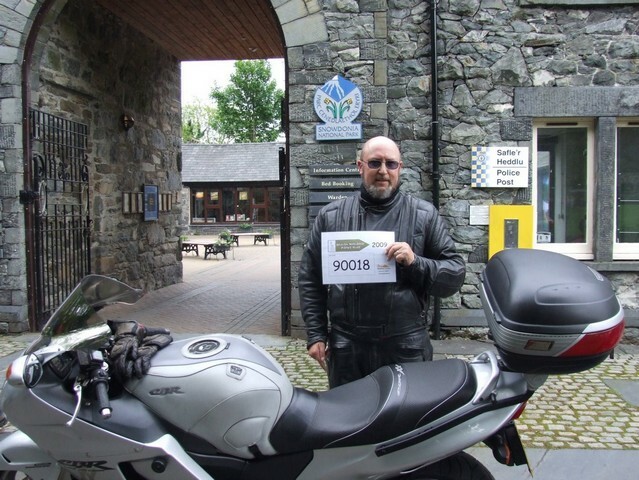 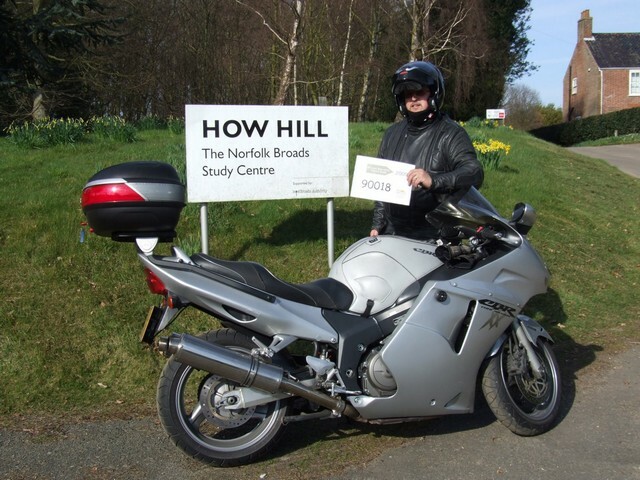 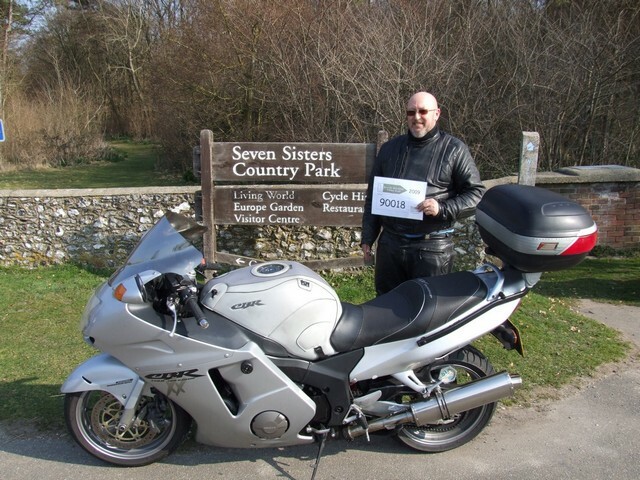 In February 2007 he found a second-hand 2005 Honda Blackbird for sale at motorbiking.co.uk in Bournemouth so off he and Ray went and picked it up and now Bonzo’s a happy man. 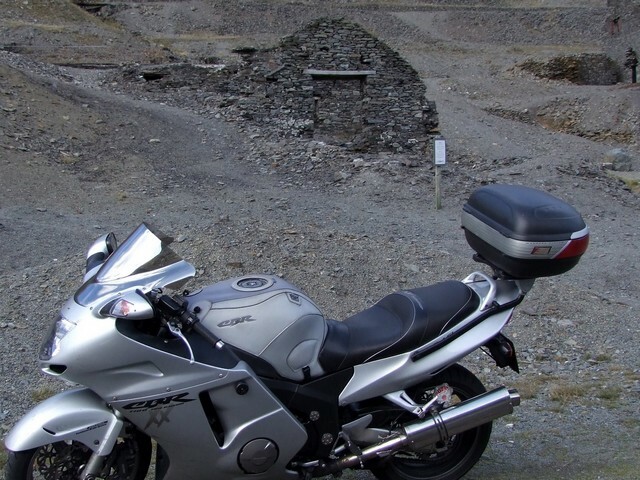 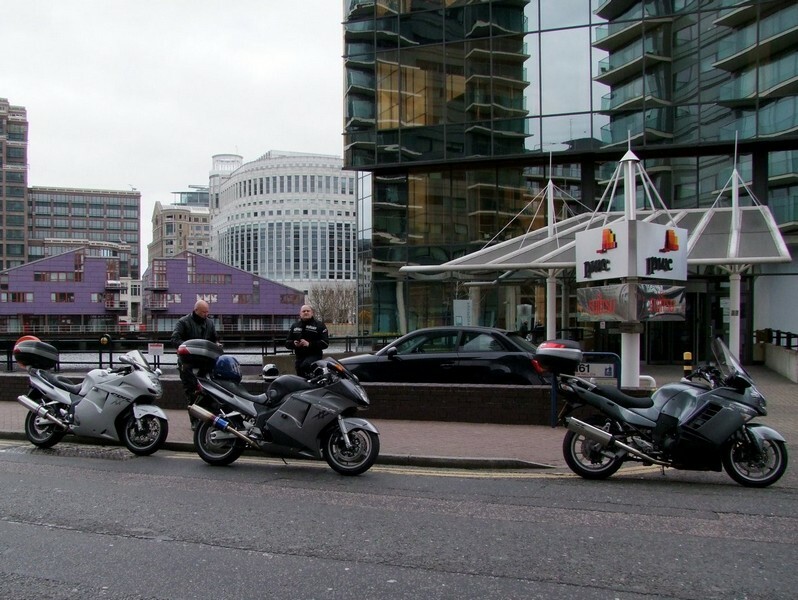 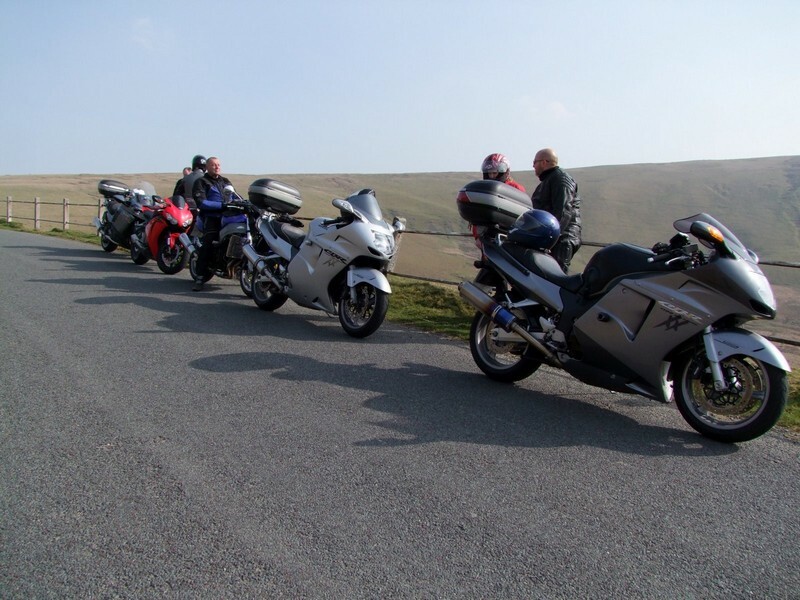 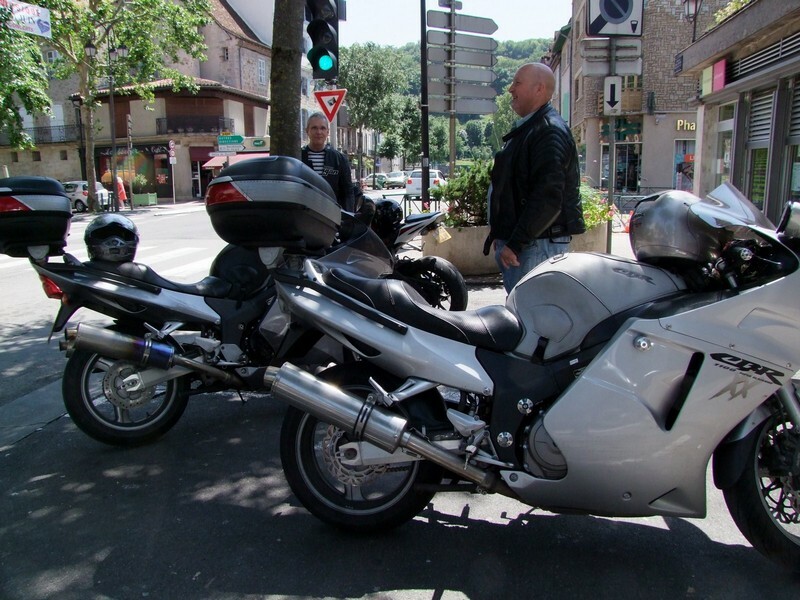 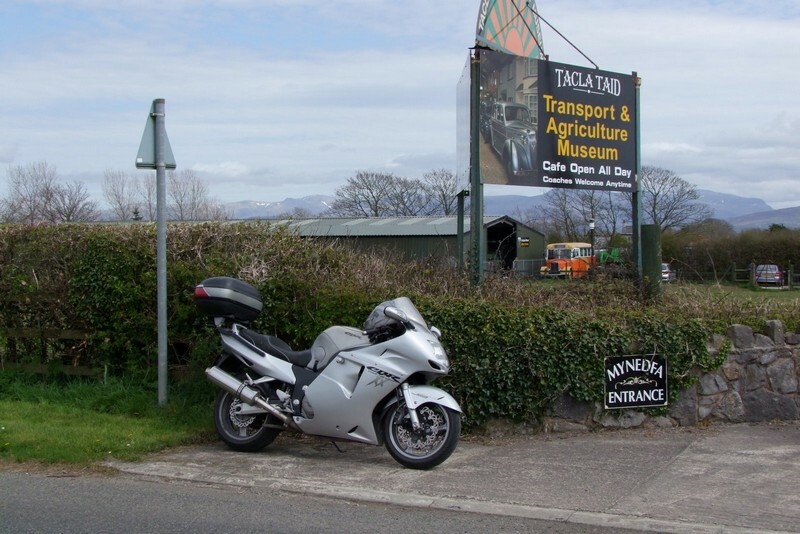 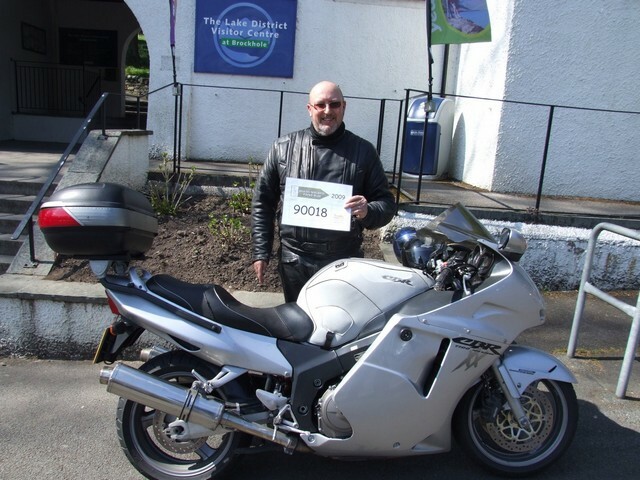 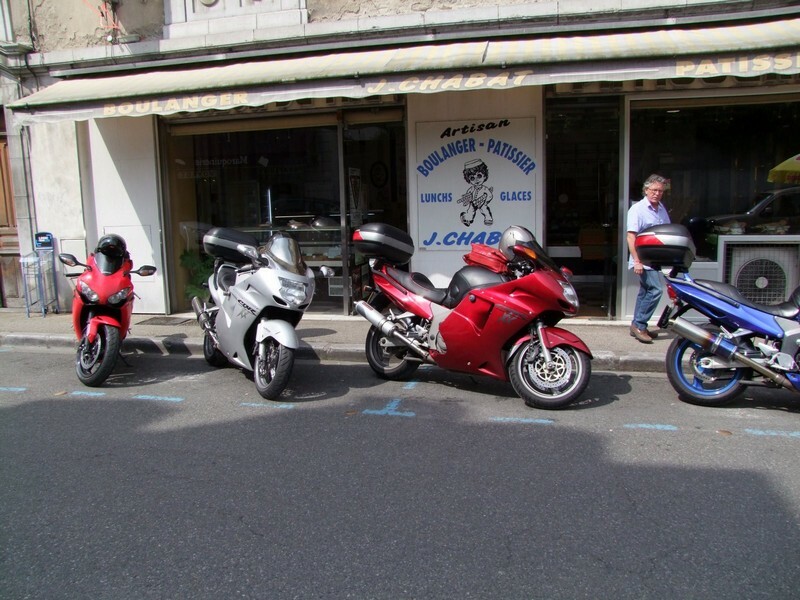 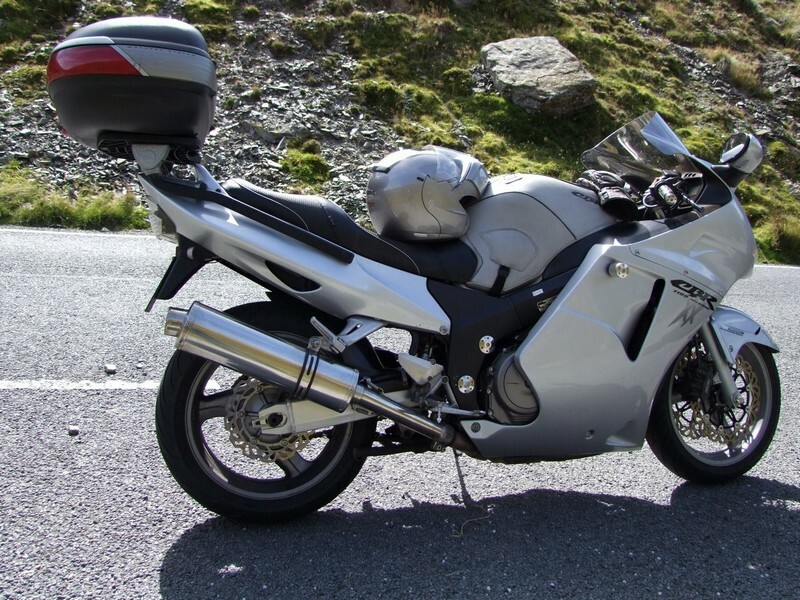 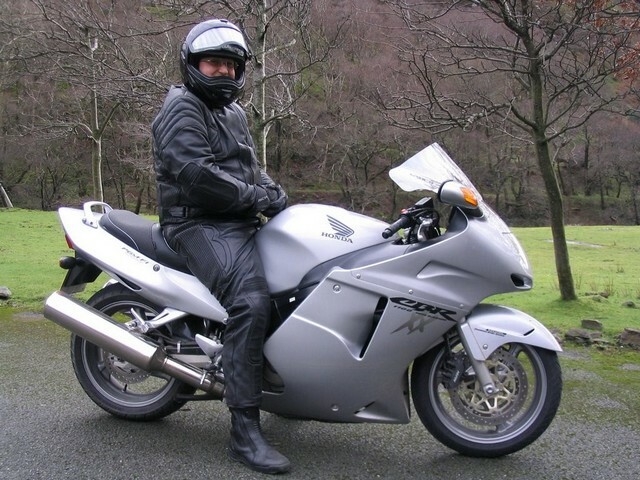 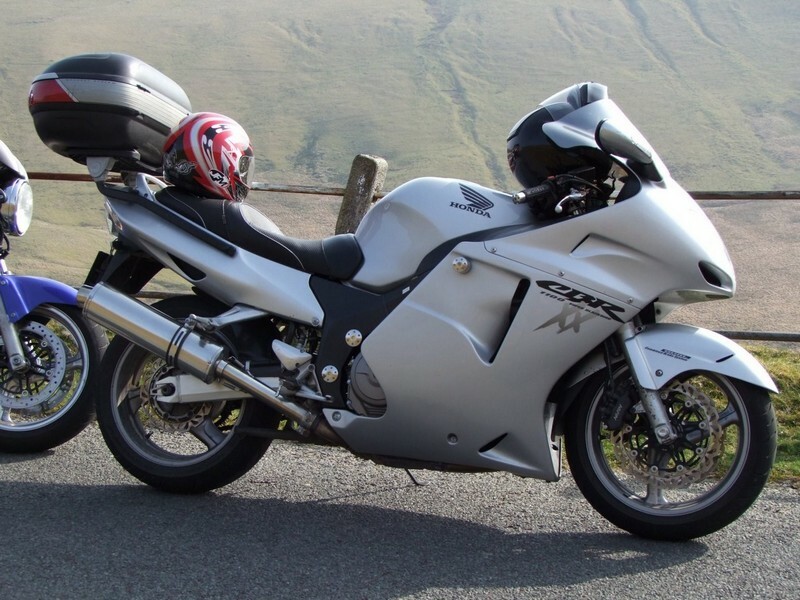 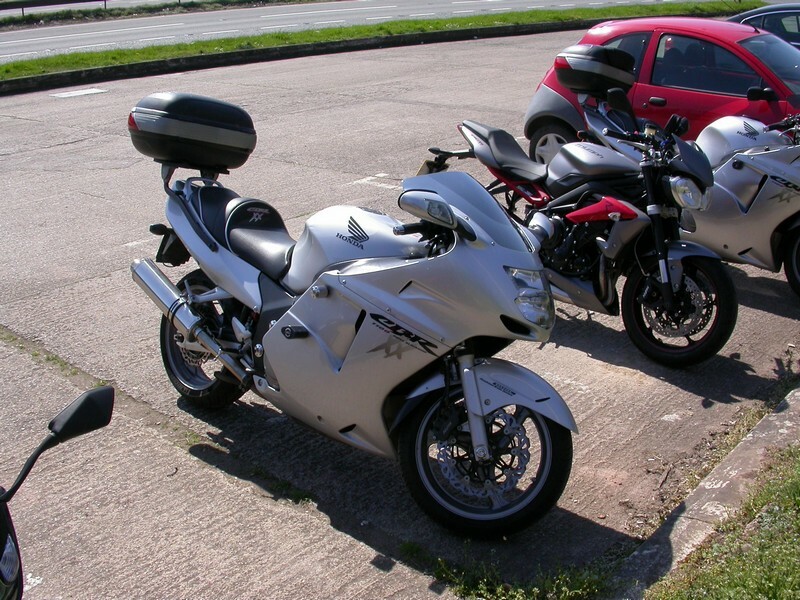 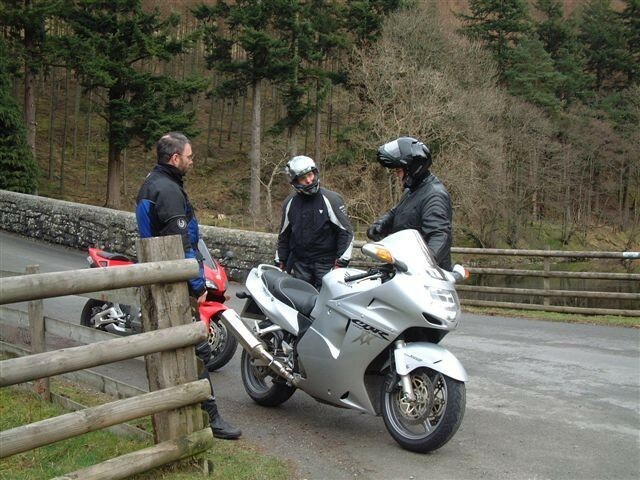 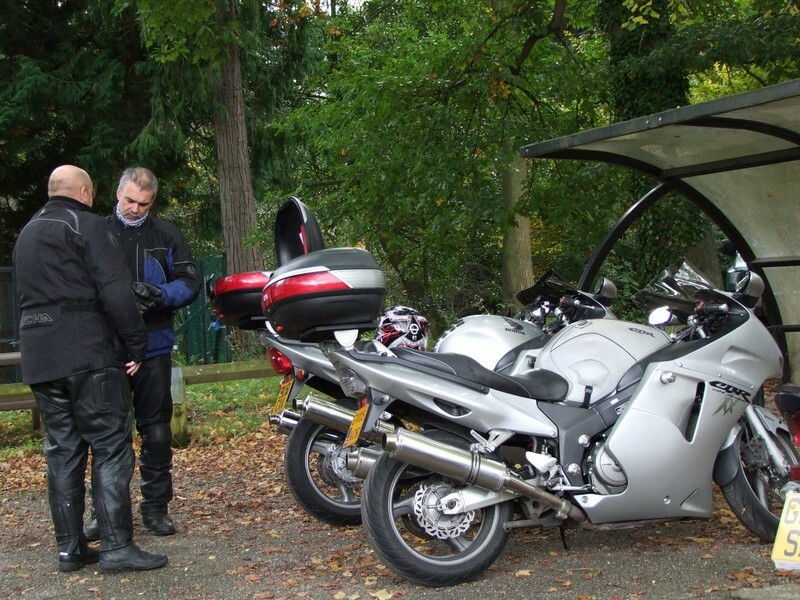 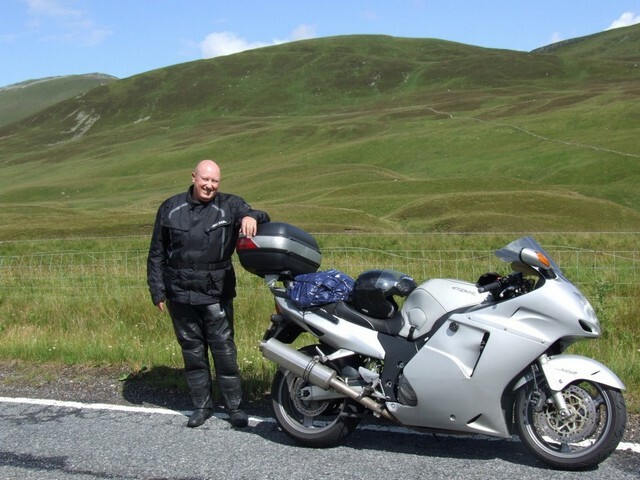 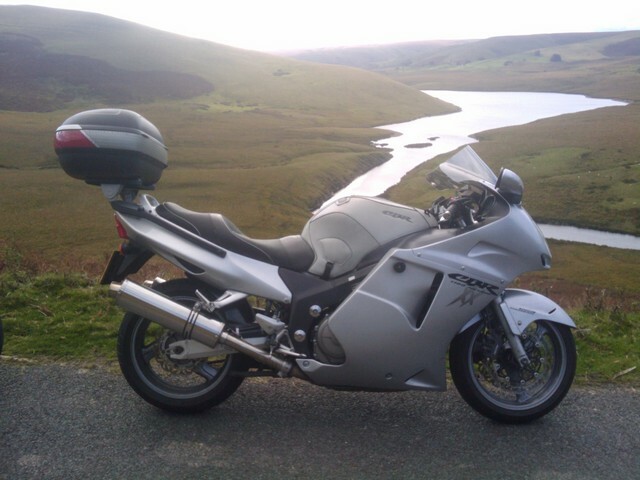 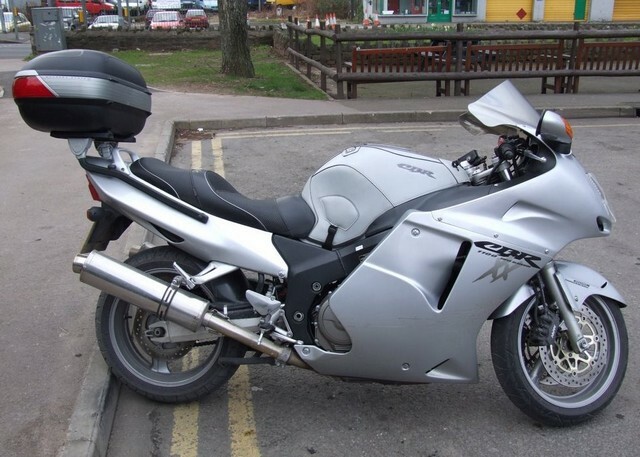 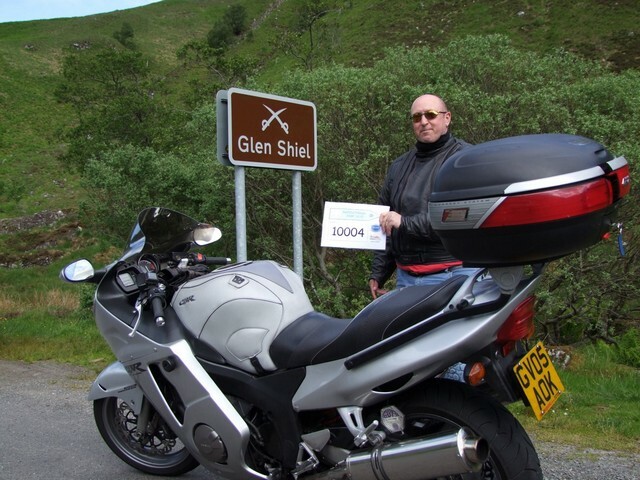 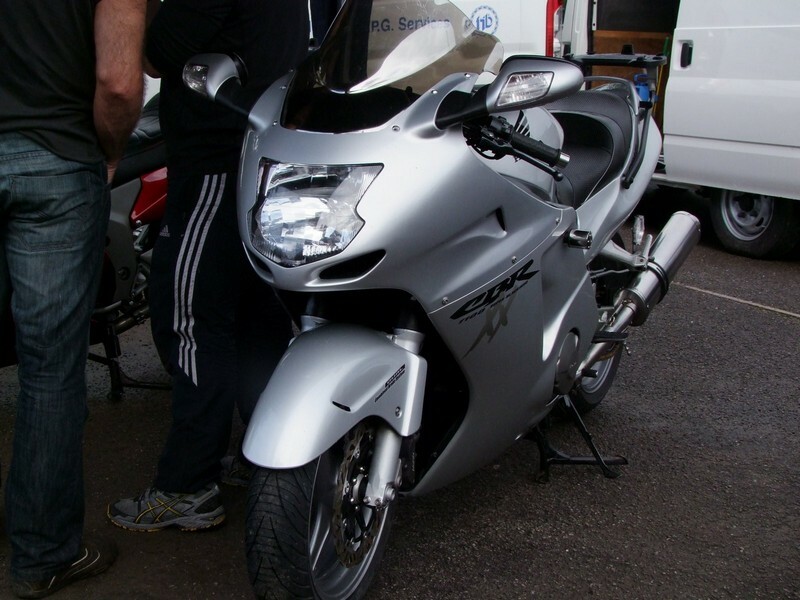 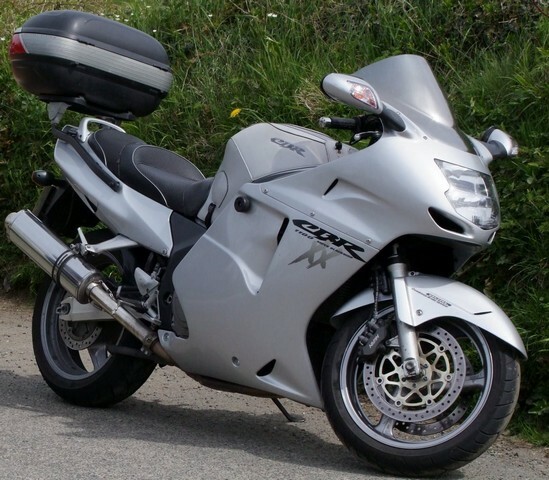 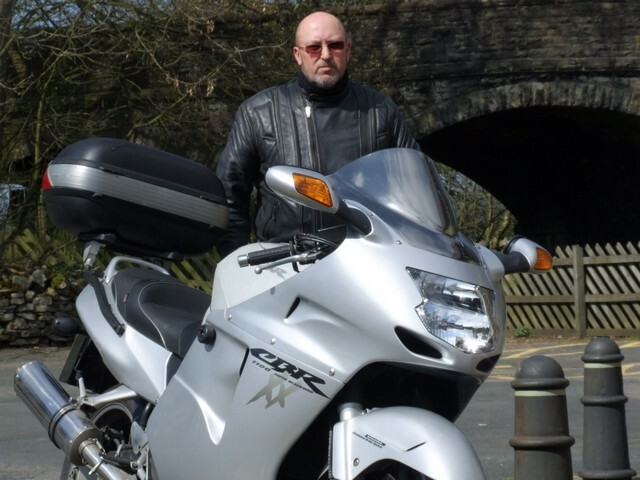 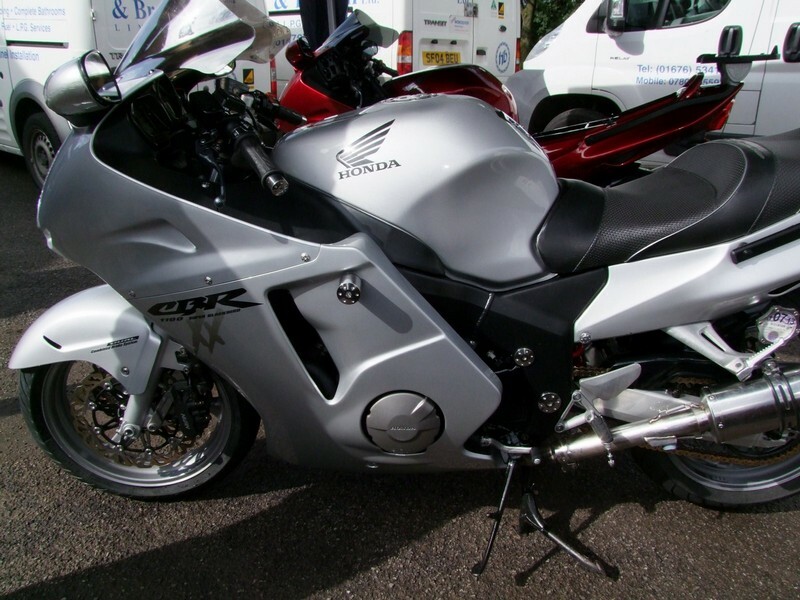 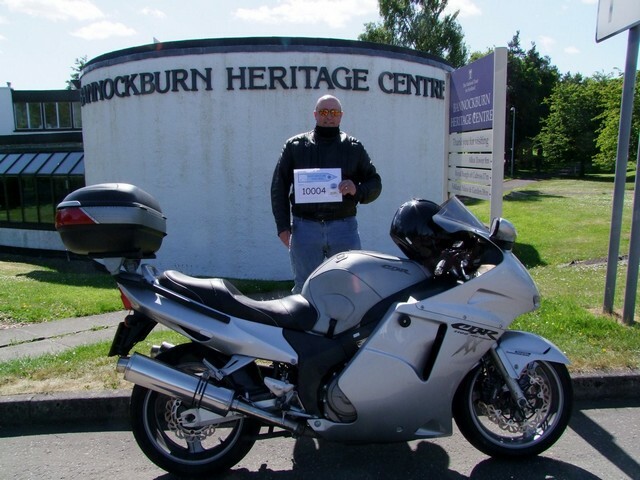 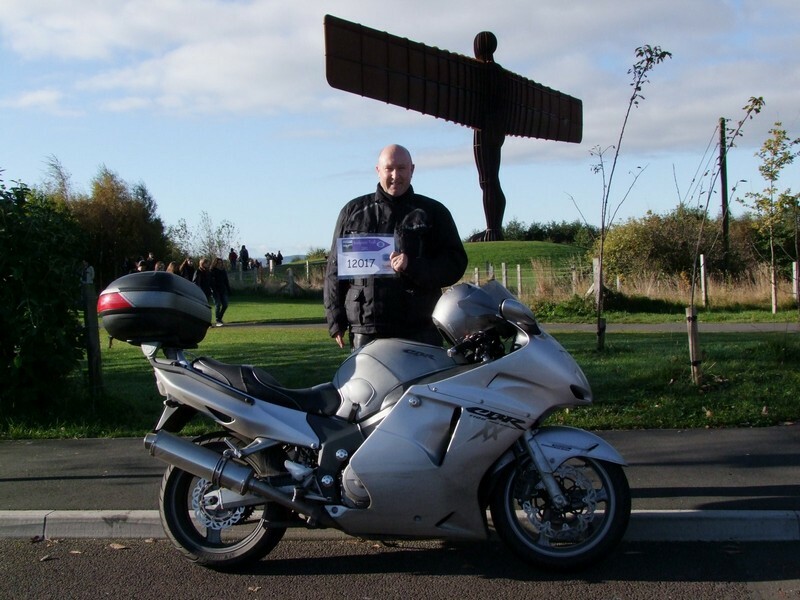 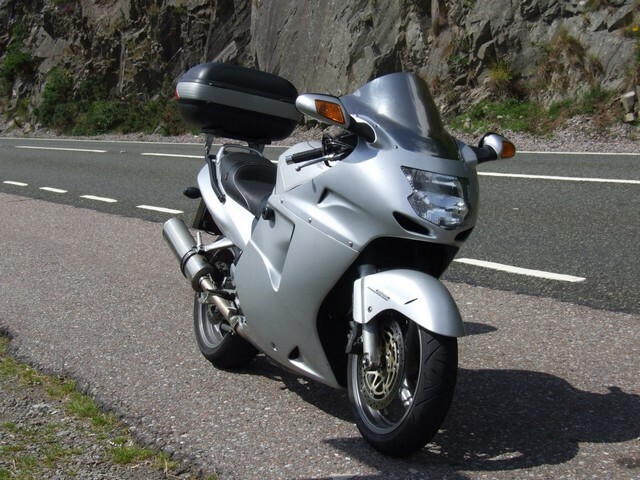 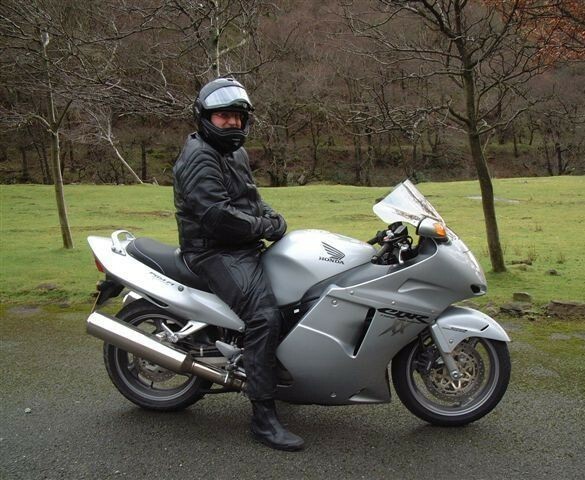 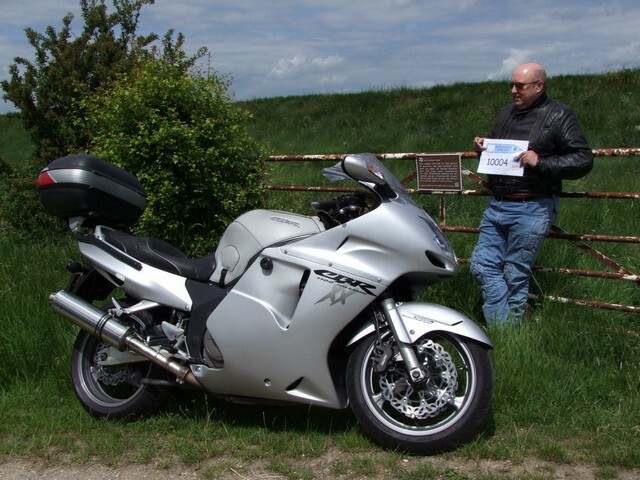 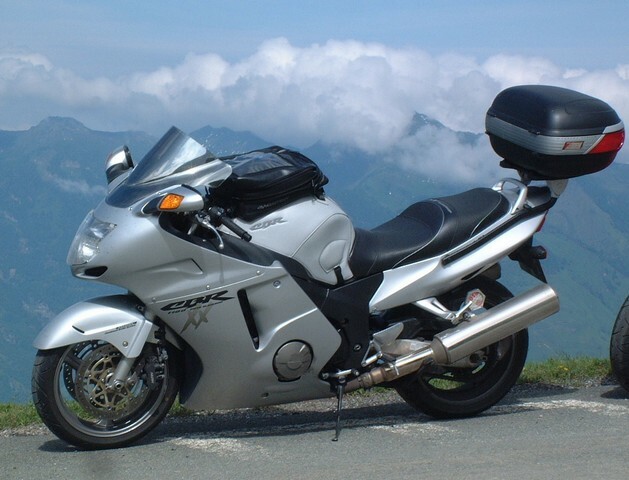 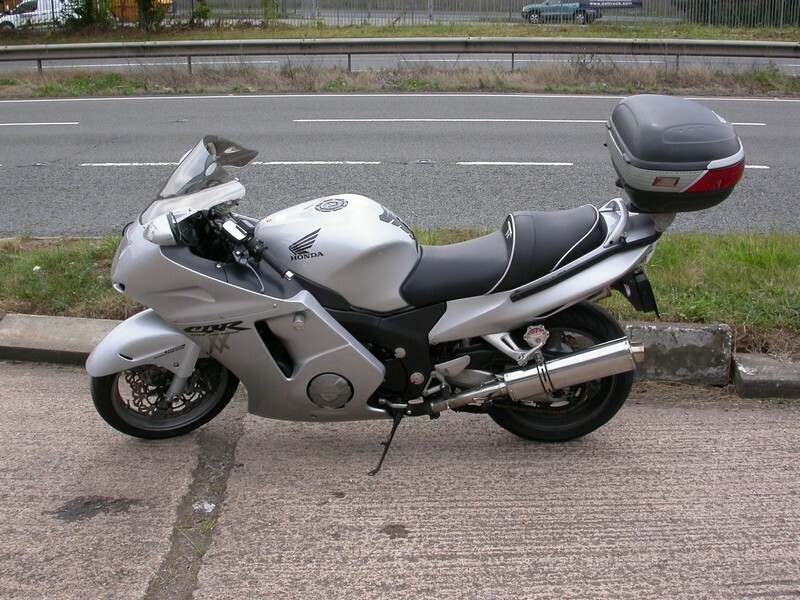 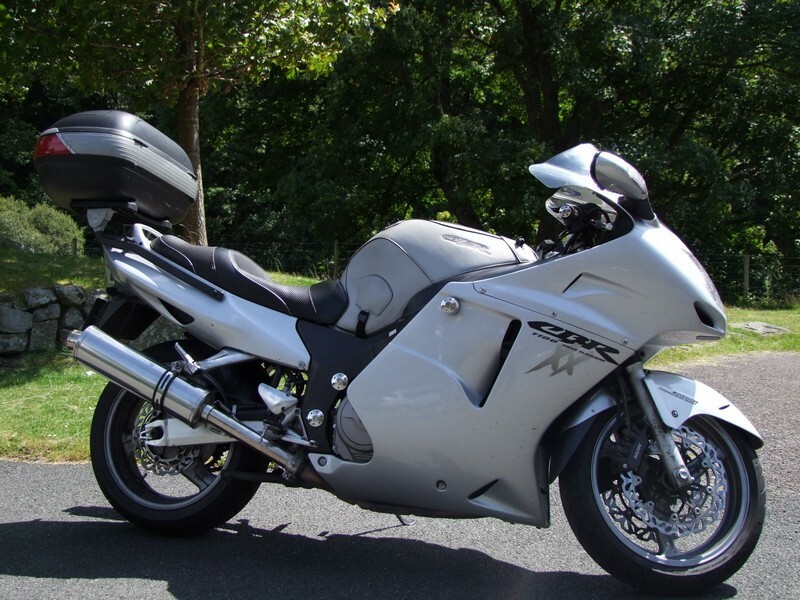 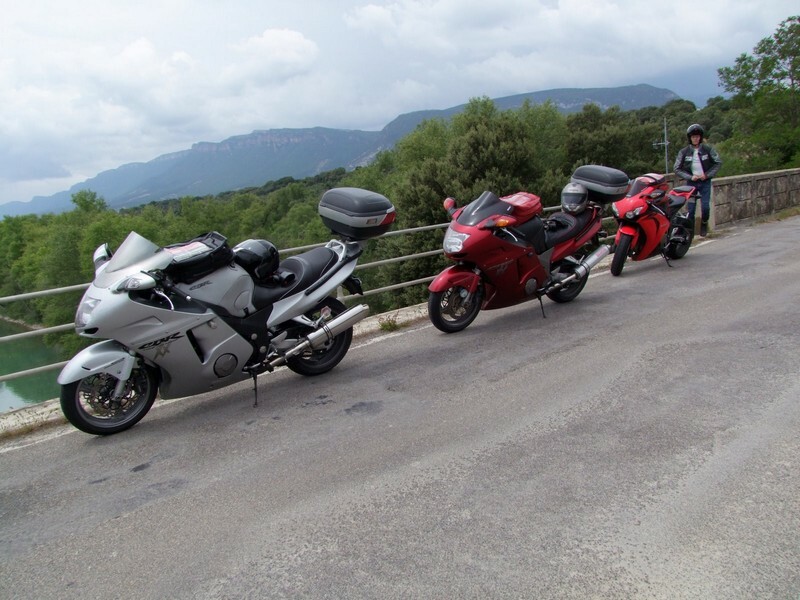 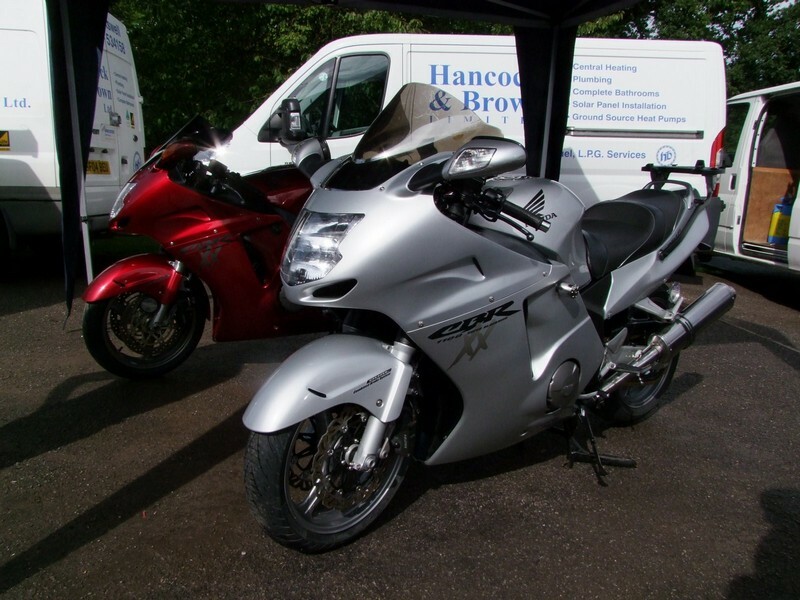 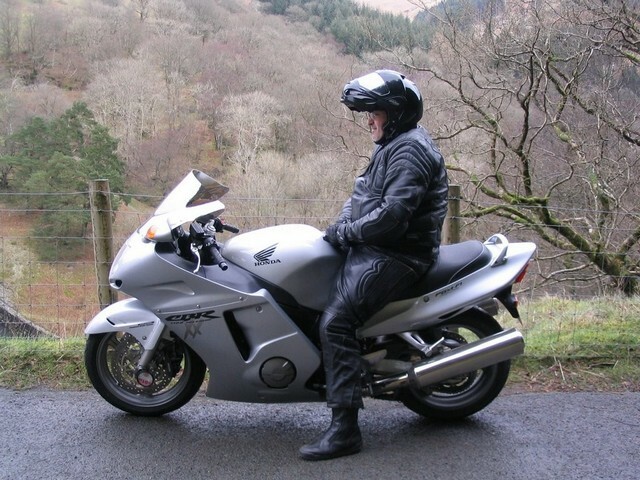 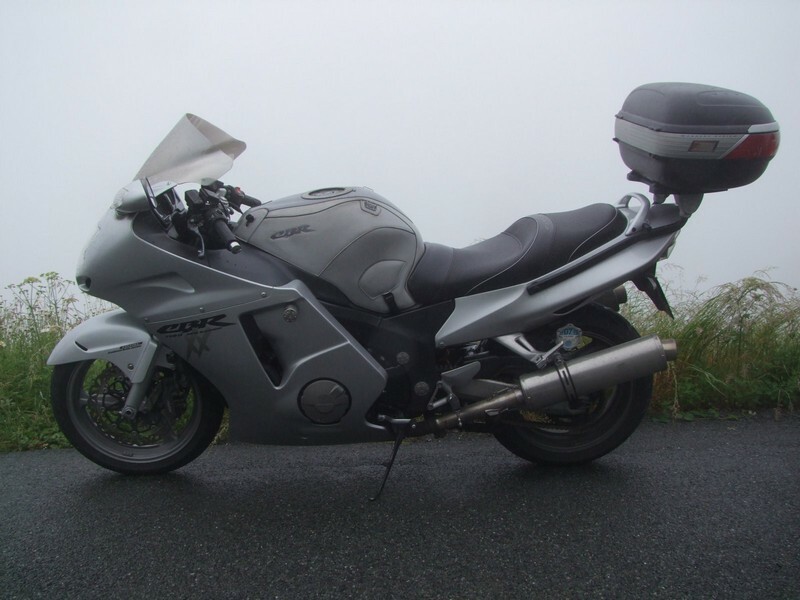 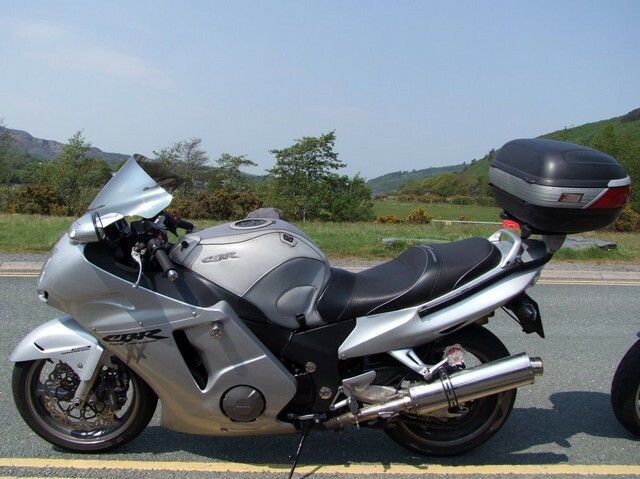 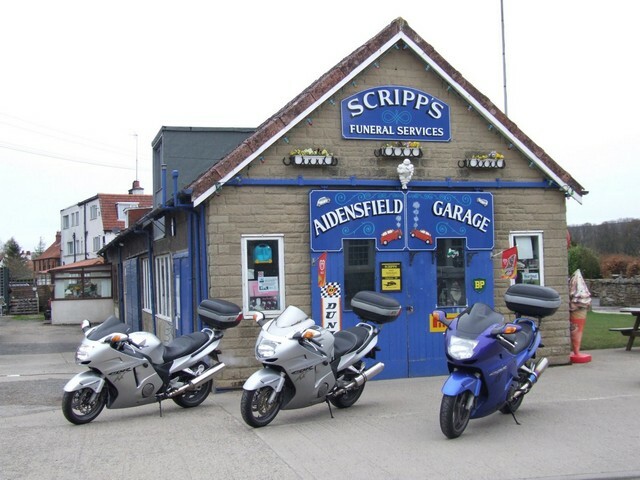 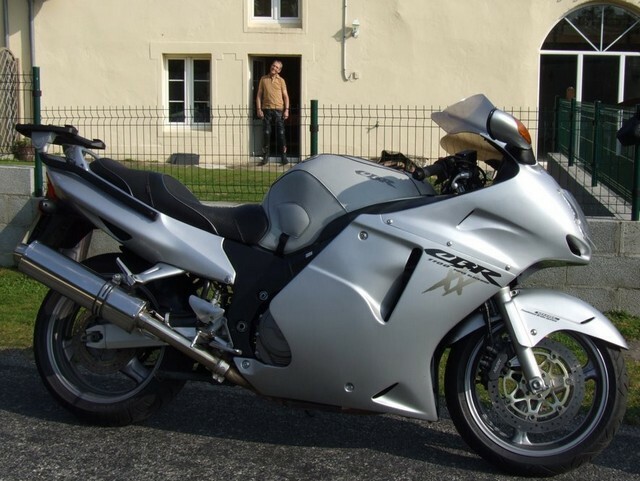 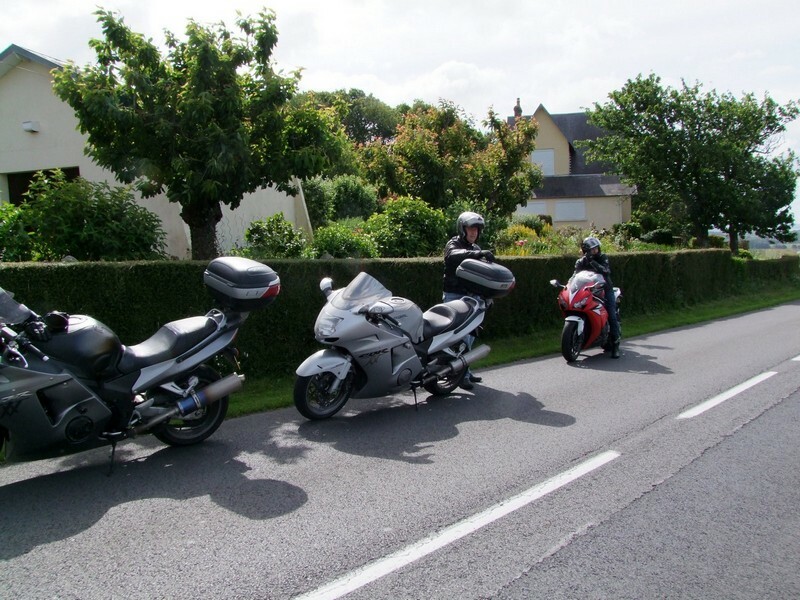 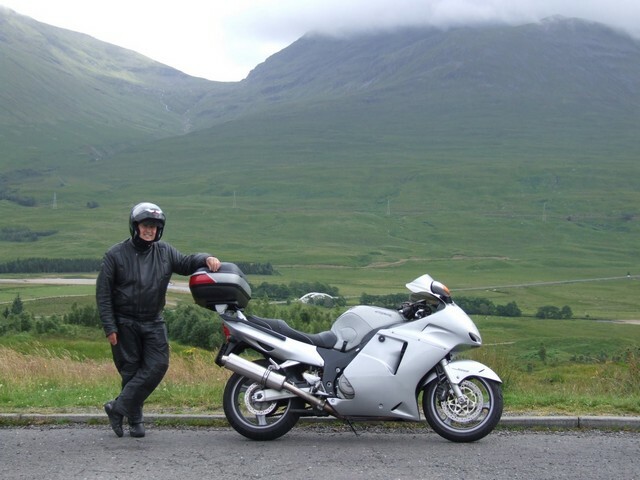 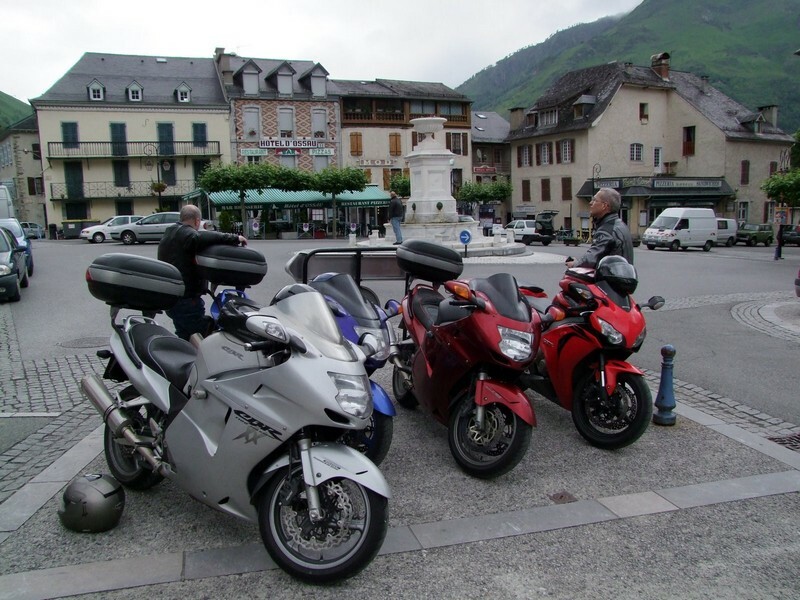 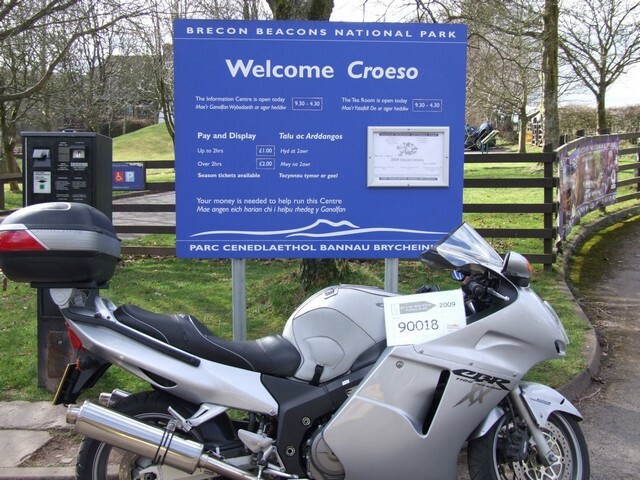 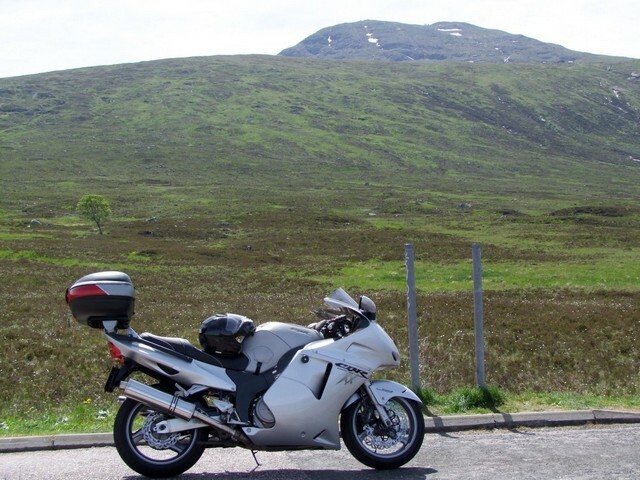 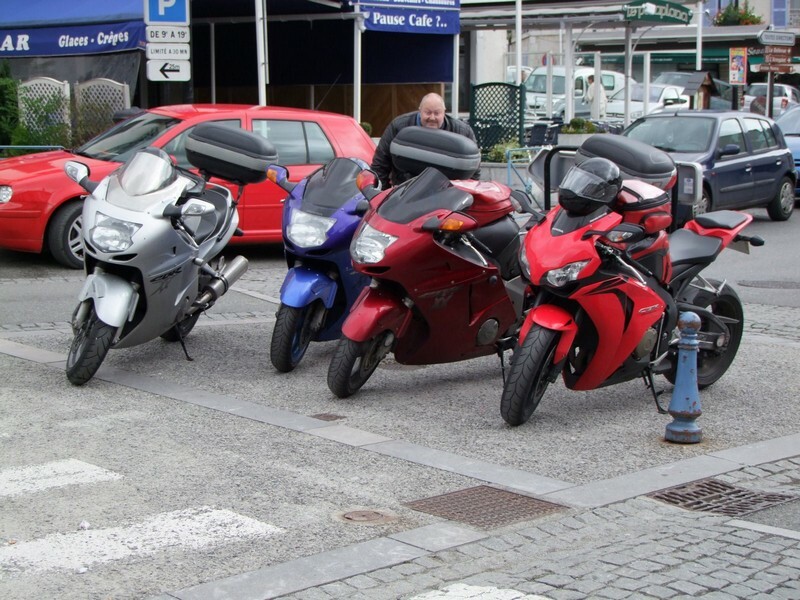 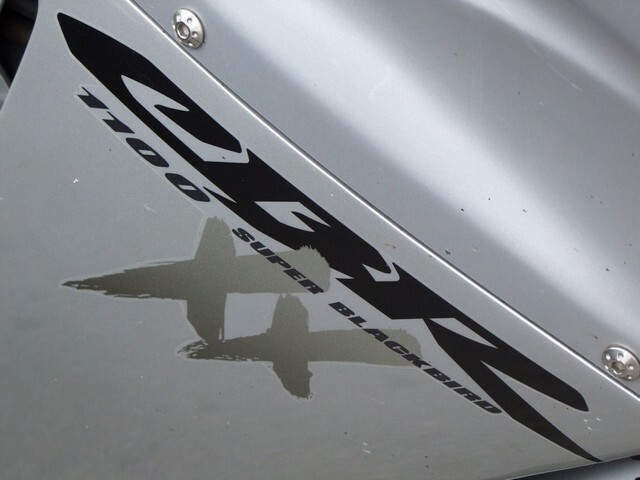 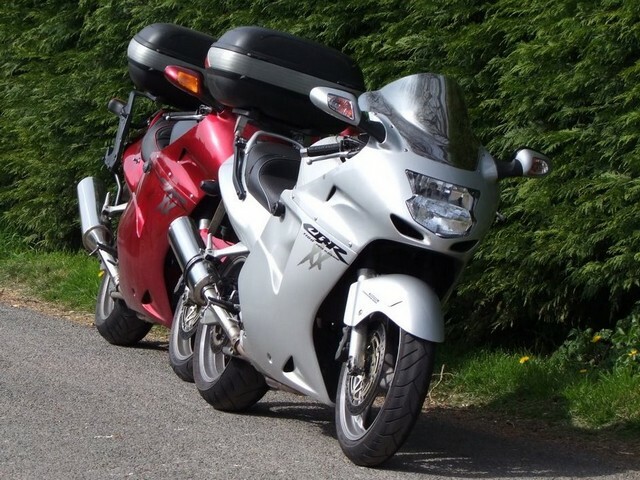 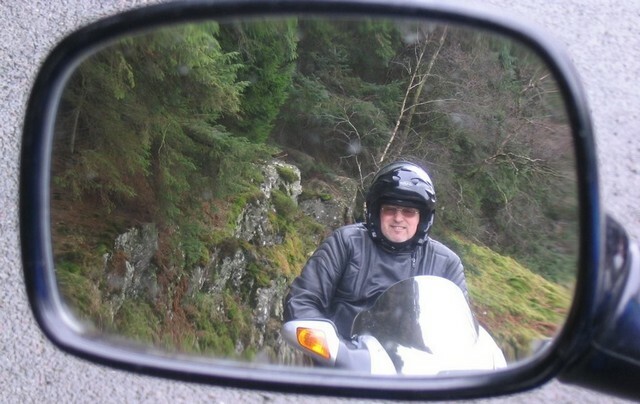 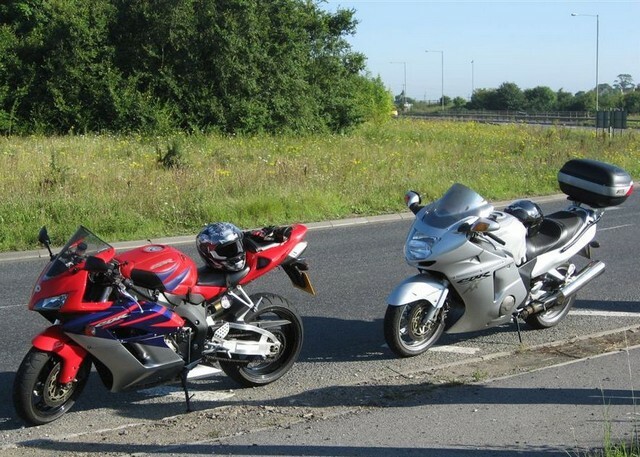 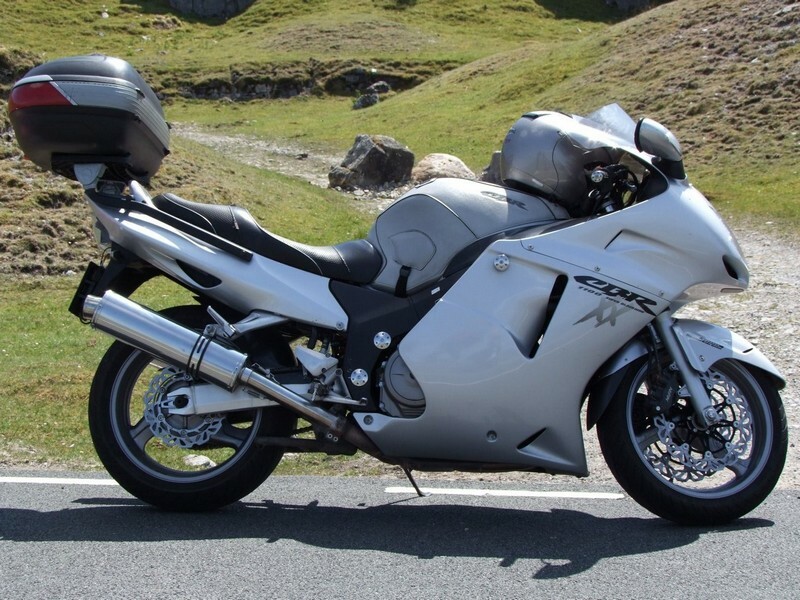 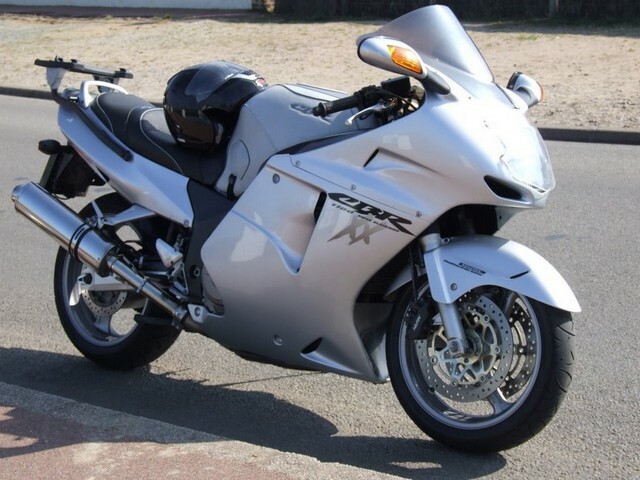 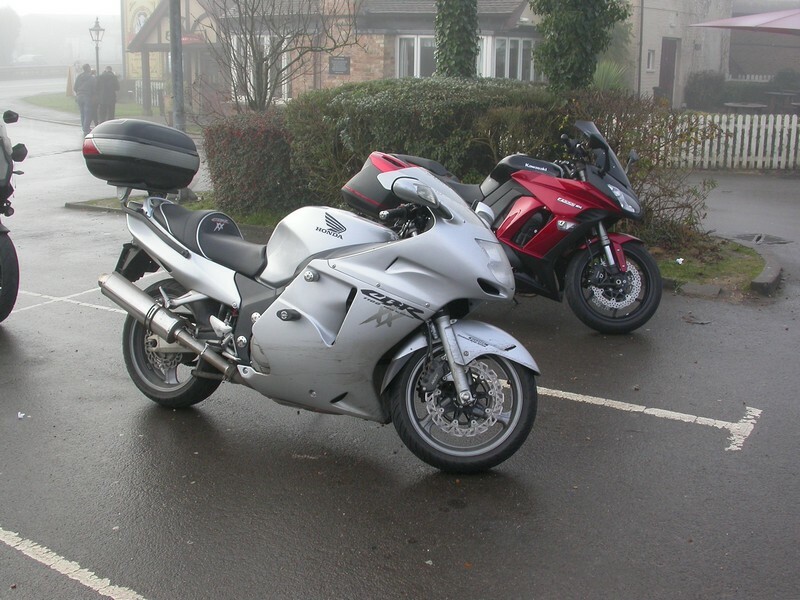 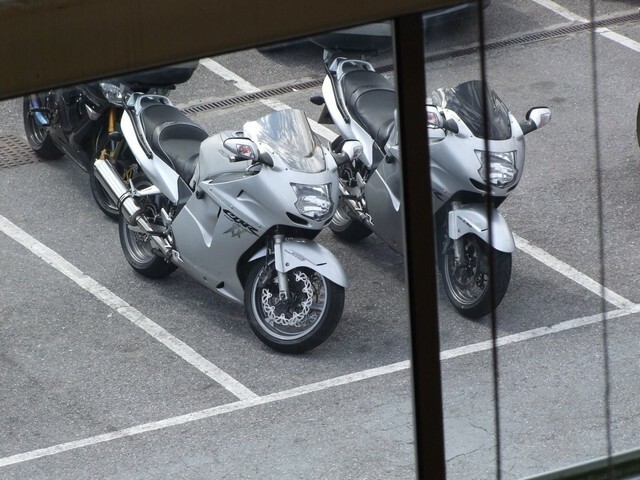 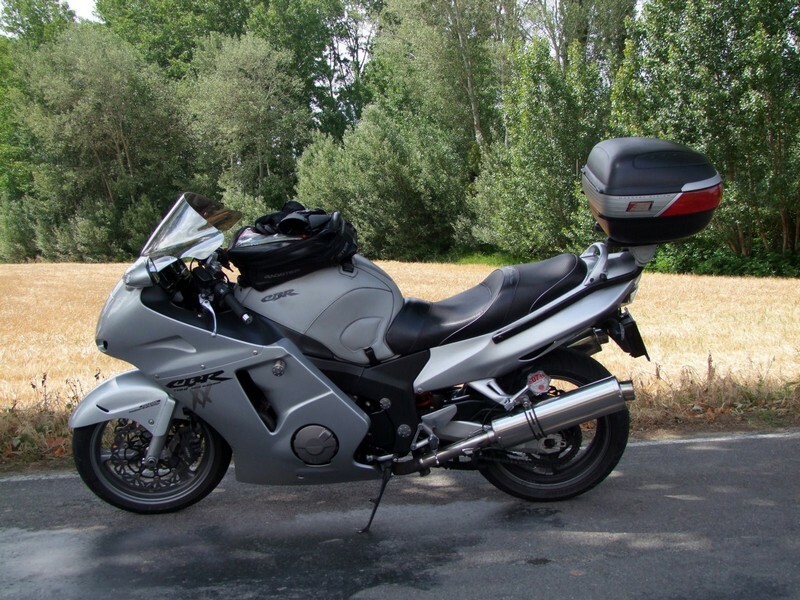 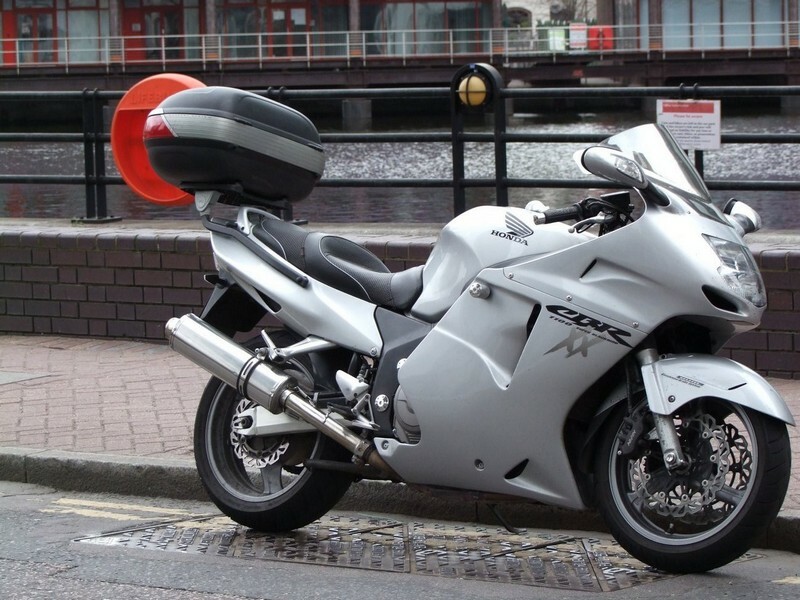 Bonzo’s new Honda Blackbird is a second-hand 2005 model with less than 5K miles, it’s in excellent condition and came with a rear hugger, P&P Viper seat and a very nice silver iridium double bubble screen. 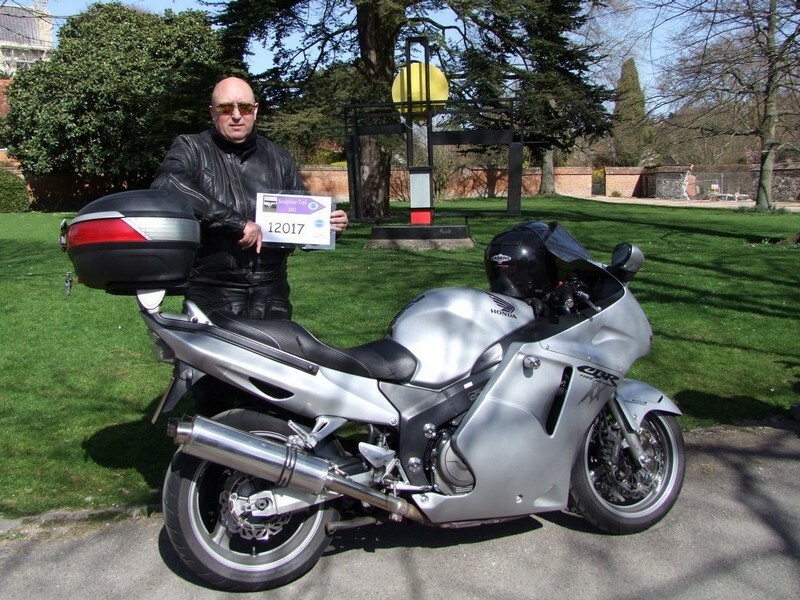 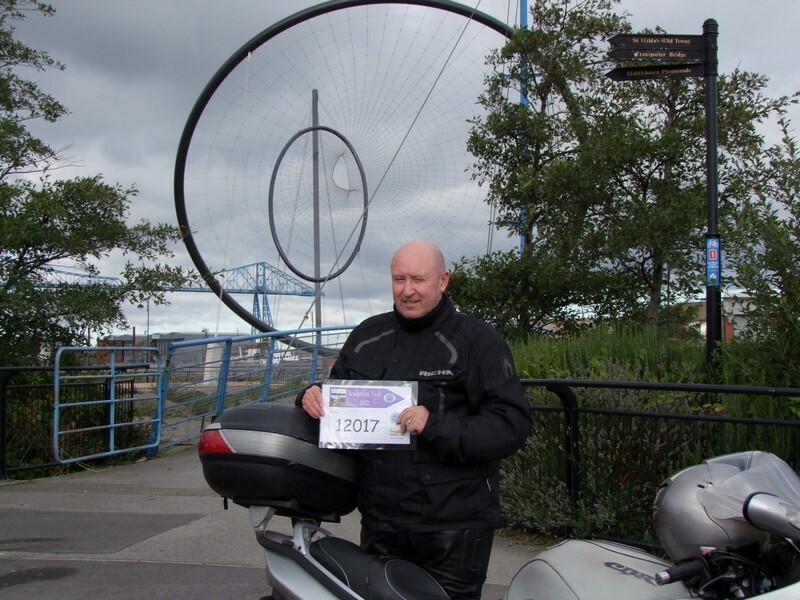 Bonzo’s managed not to get this Blackbird stolen and as a reward he’s gone and bought himself a very nice silver Baglux cover in preparation for this summers ride over to France and Spain. 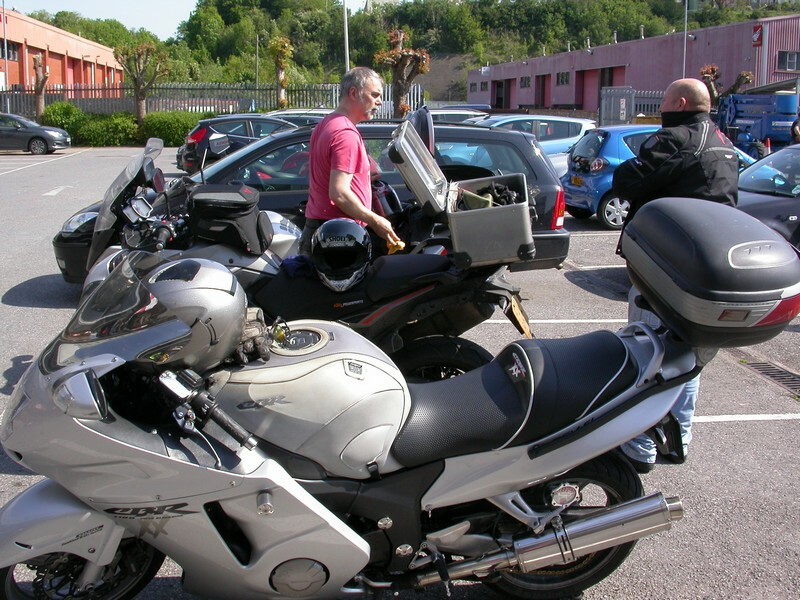 Bonzo’s Honda Blackbird is still going strong, now with just over 60K miles on the clock and no major issues. 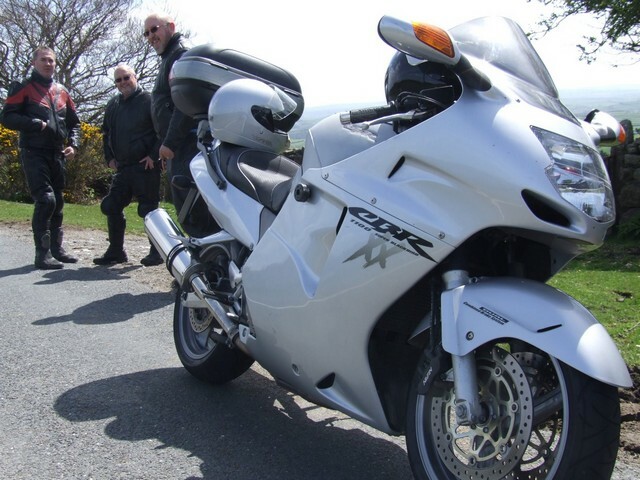 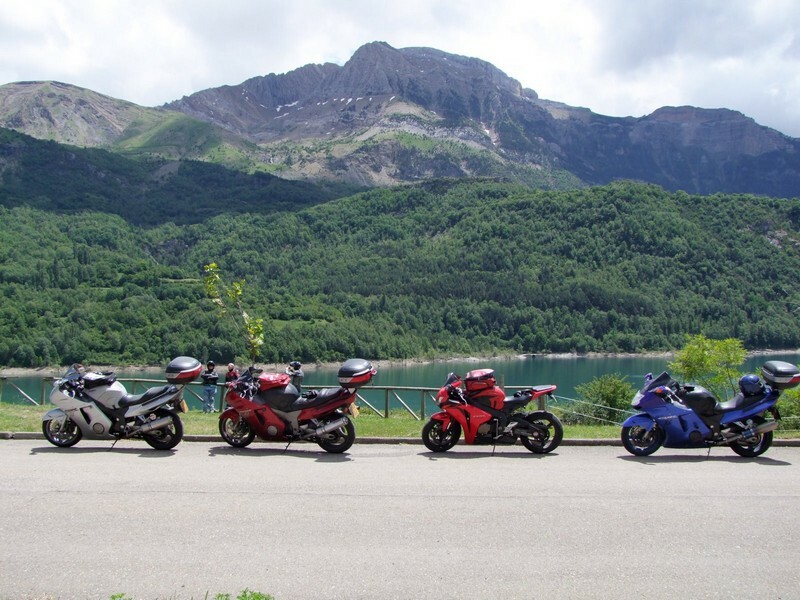 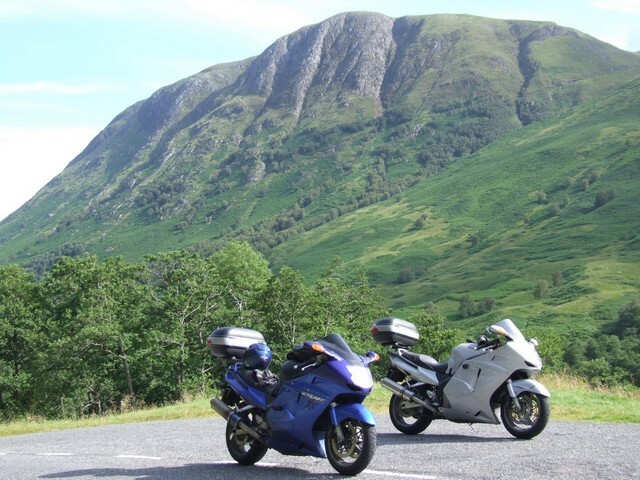 After nearly 8 years of ownership Bonzo has decided to replace his 64,000 mile Honda Blackbird with another equally stunning bike, a Kawasaki ZZR1400.